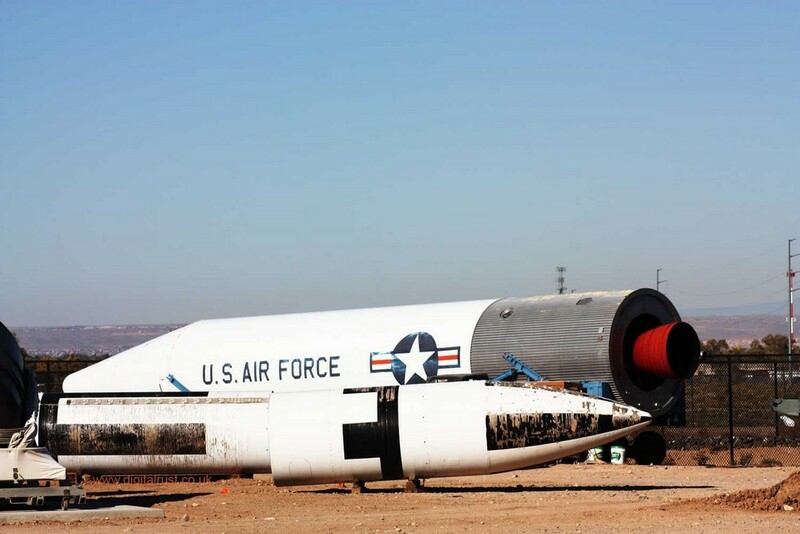 For me the cold war was something I had to live with during the 70's and 80's. 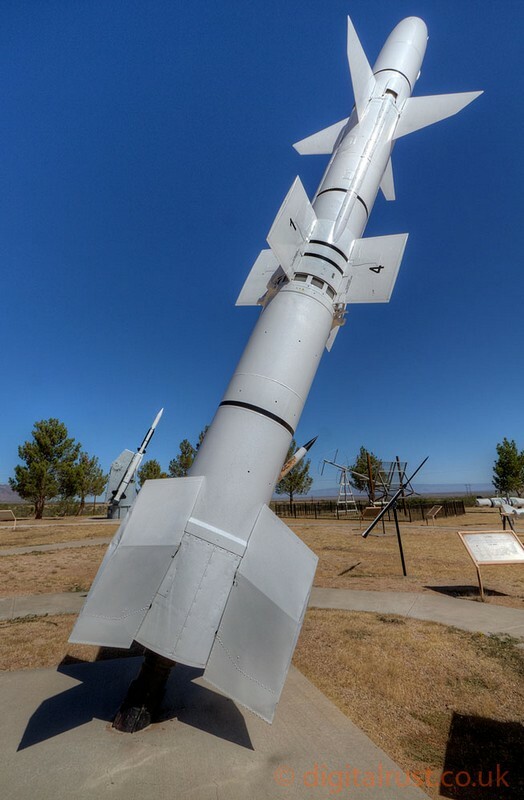 Although relations between the U.S and Russians were twitchy way before this, I have clear memories of the anxiety felt by many people during the period. 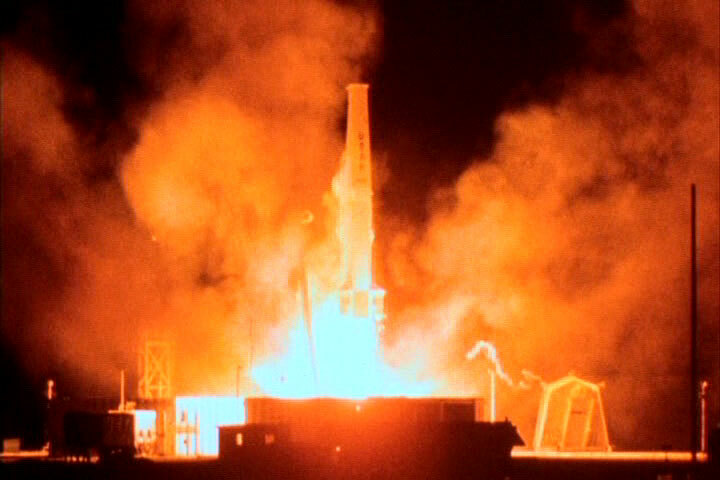 The British government started a series of short public films entitled protect and survive. 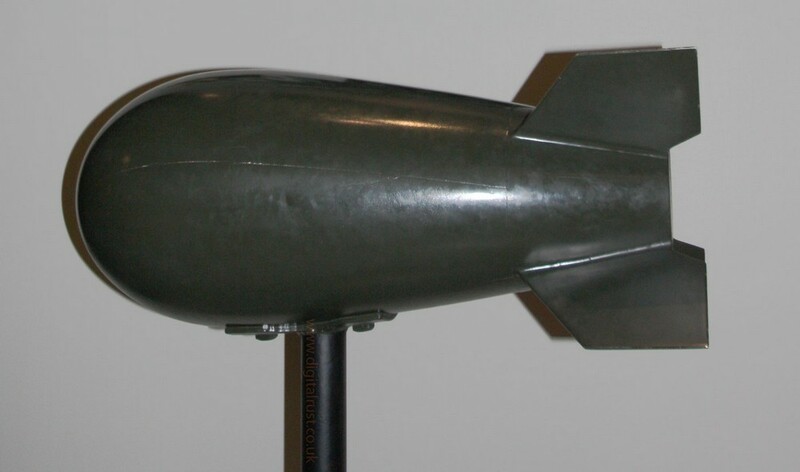 A booklet of the same name was available to every household in the U.K explaining what to do in the event of a nuclear strike. 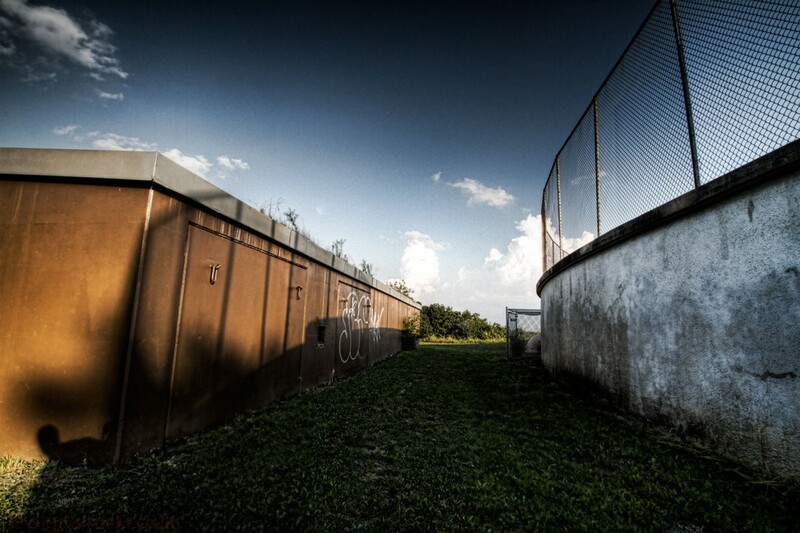 Most people considered the contents of the films and literature as a farce which only made things worse. 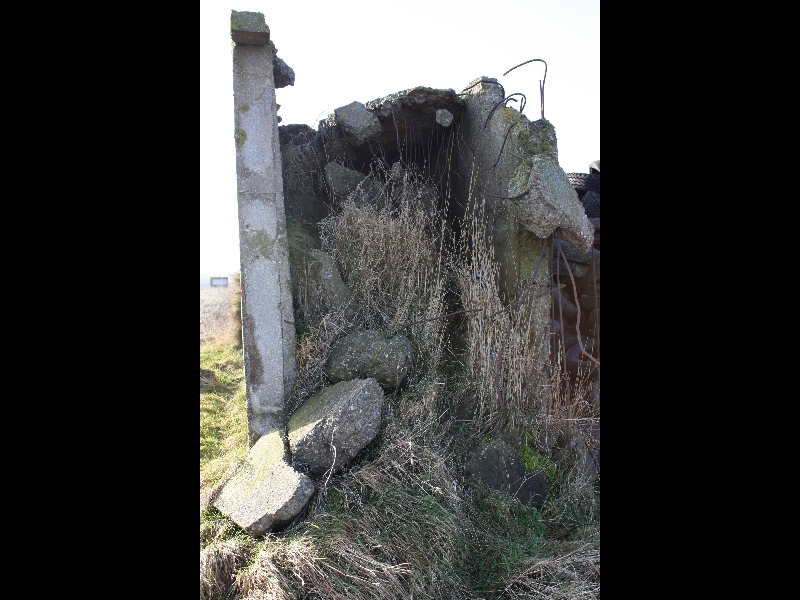 In the information below I have started to visit ( as a civilian ) and document some of the places, the hardware and literature from this period. 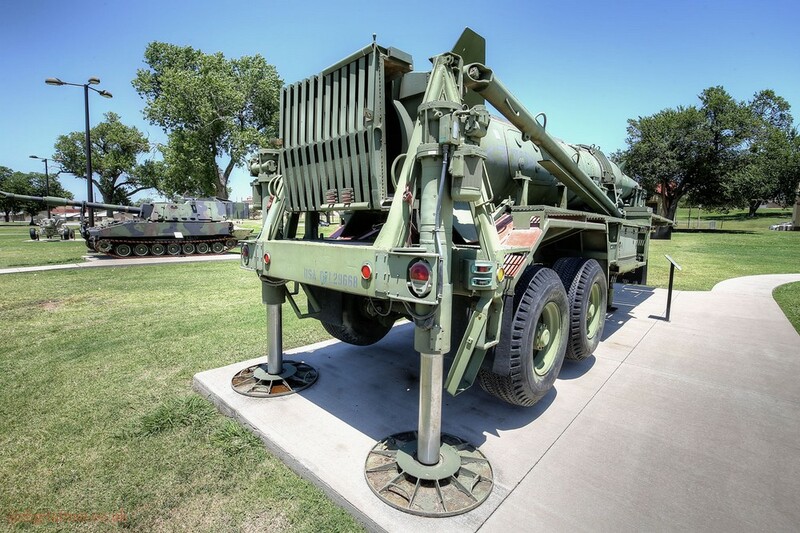 Fort Sill, Oklahoma is a United States Army post north of Lawton, Oklahoma, about 85 miles southwest of Oklahoma City and I was fortunate enough to visit in August 2017. 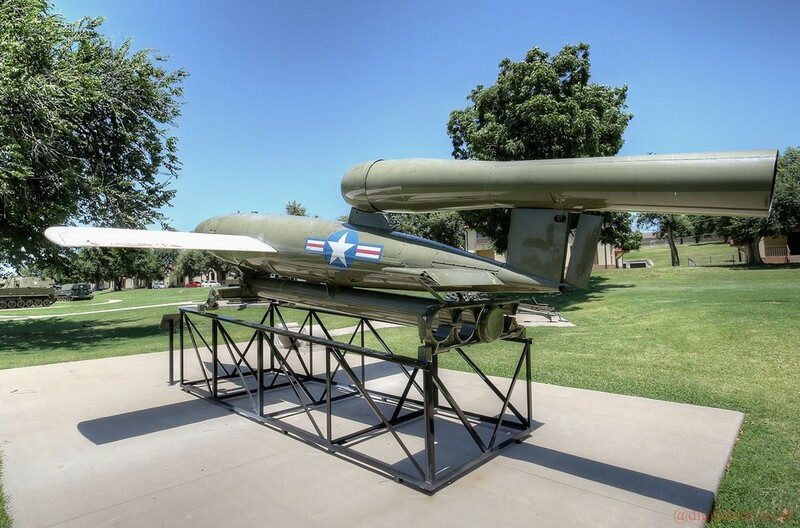 Fort Sill remains the only active Army installation of all the forts on the Southern Plains built during the Indian Wars. 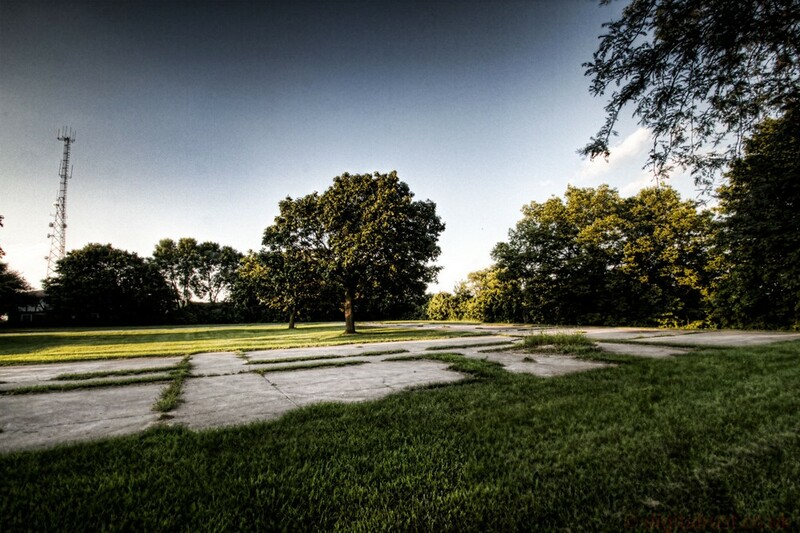 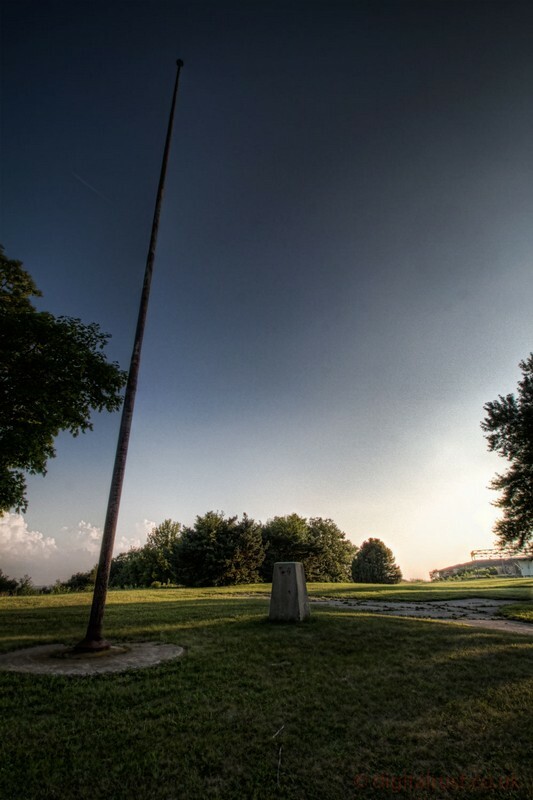 It is designated as a National Historic Landmark and serves as home of the United States Army Field Artillery School as well as the Marine Corps' site for Field Artillery MOS school, United States Army Air Defense Artillery School, the 31st Air Defense Artillery Brigade, and the 75th Fires Brigade. 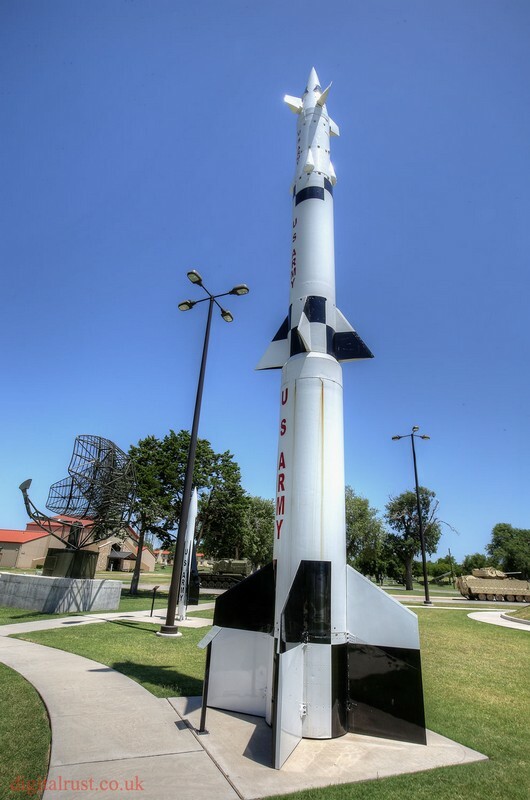 Fort Sill is also one of the four locations for Army Basic Combat Training. 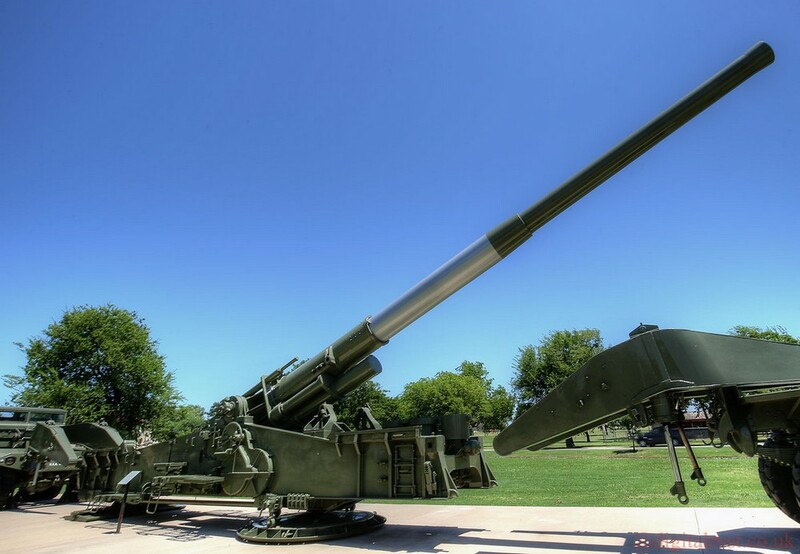 It has played a significant role in every major American conflict since 1869. 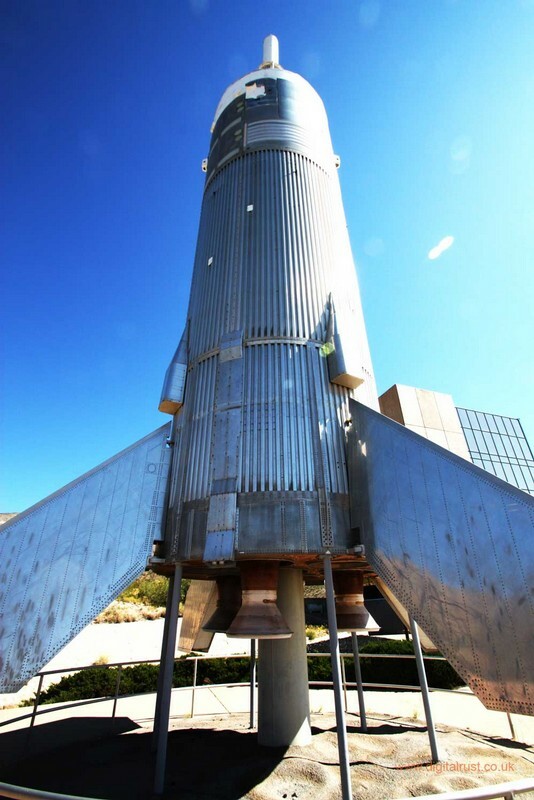 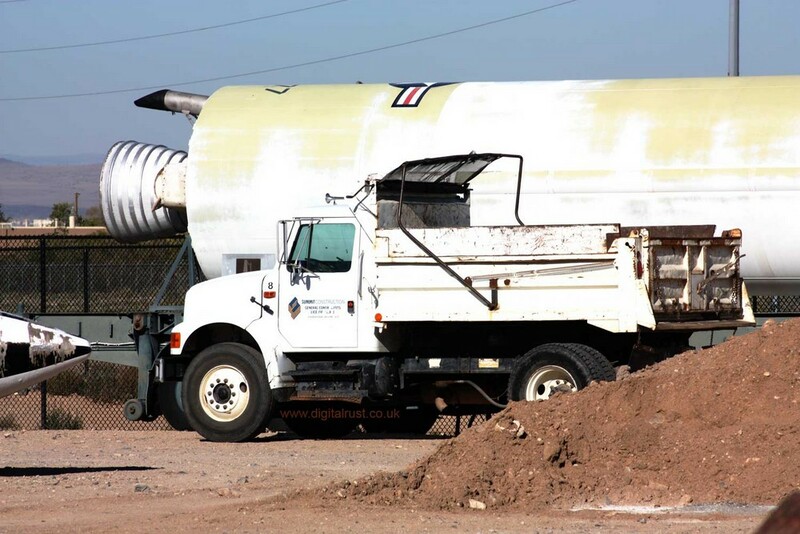 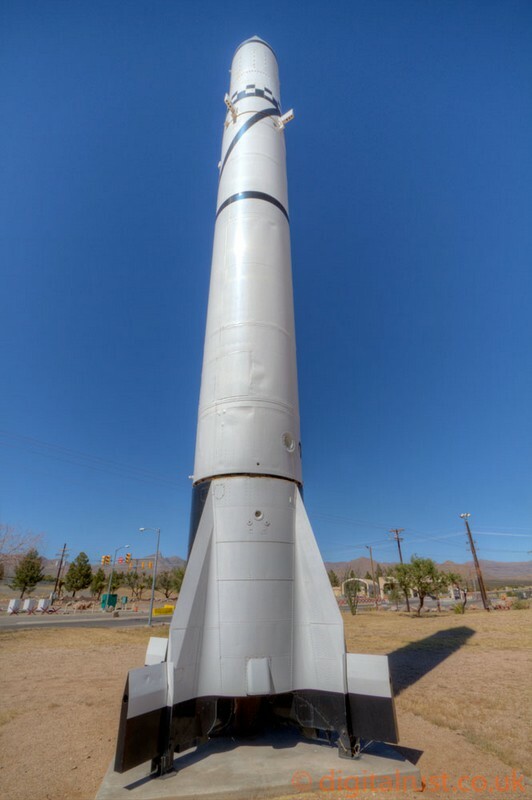 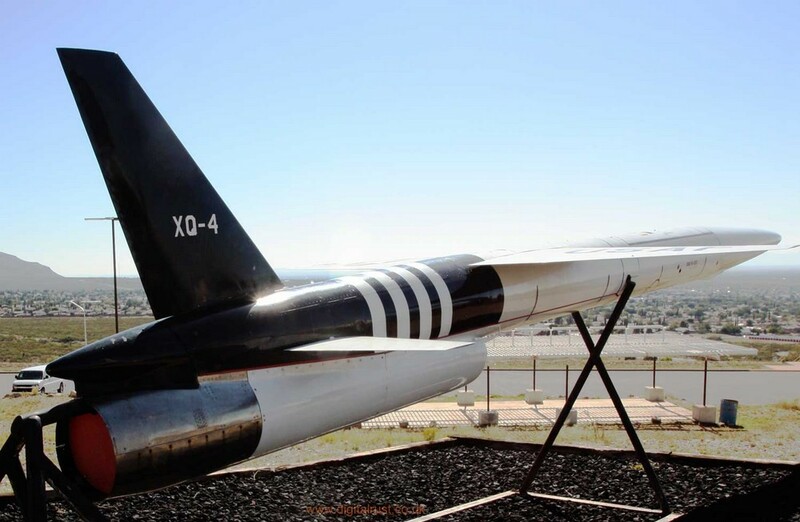 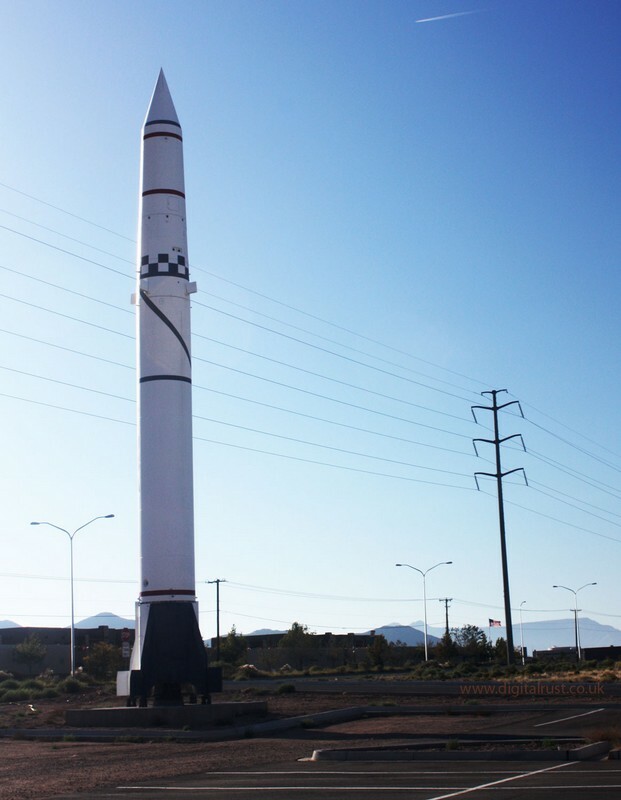 I visited the Titan II missile museum in Sahuarita, Arizona during October 2011 and consider it a very sobering experience. 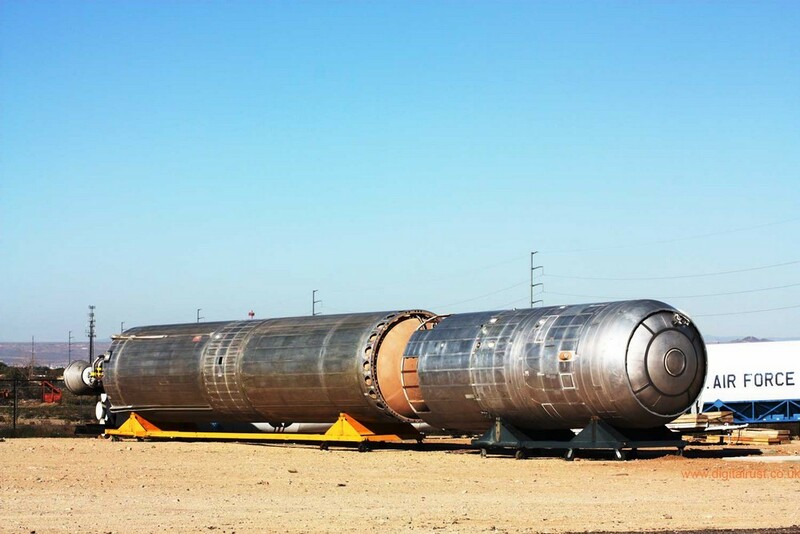 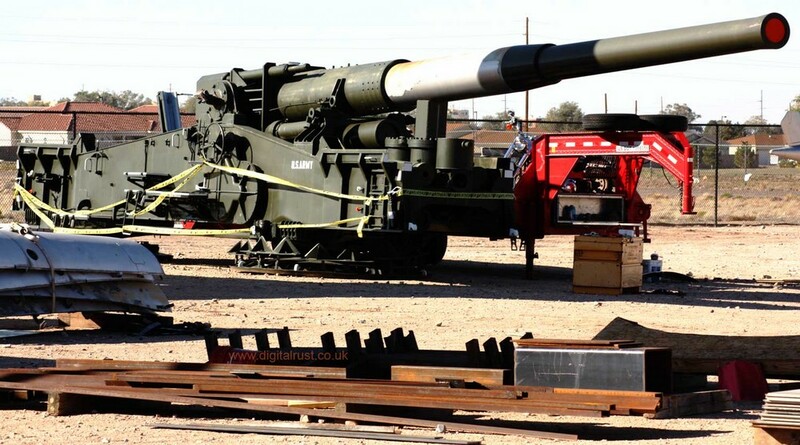 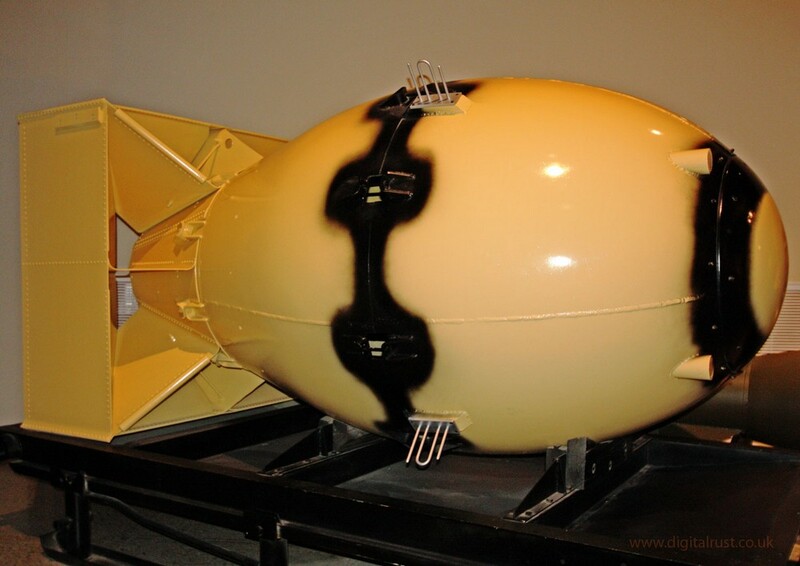 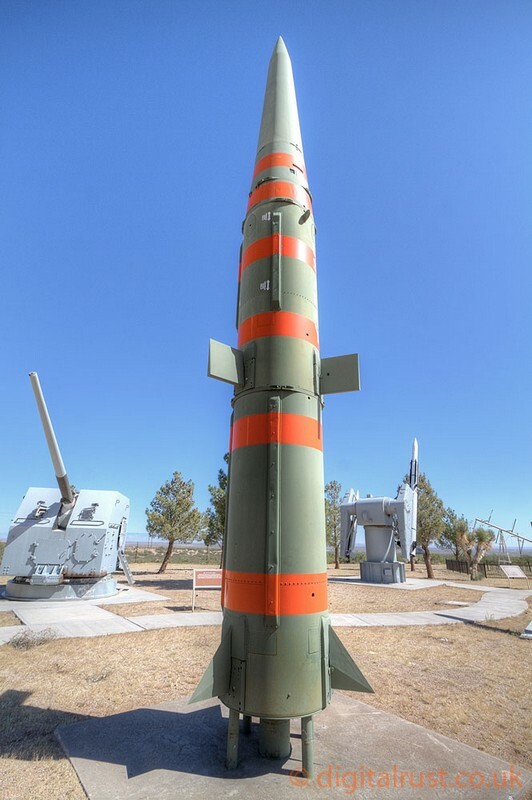 The missile itself is 103 feet in length and would carry a type W53 nuke with a 9 Megaton yield. 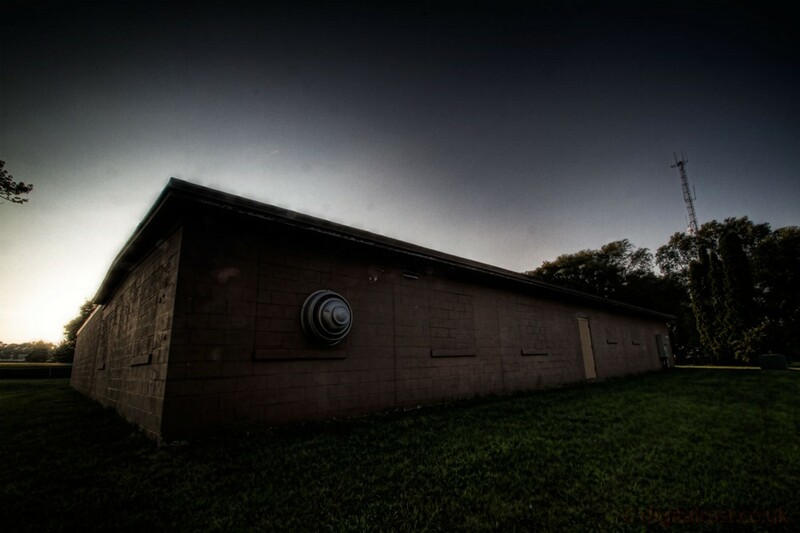 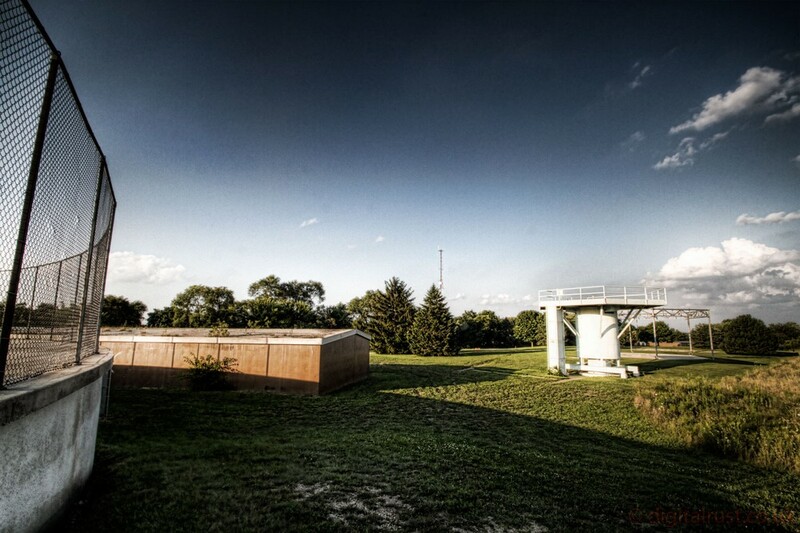 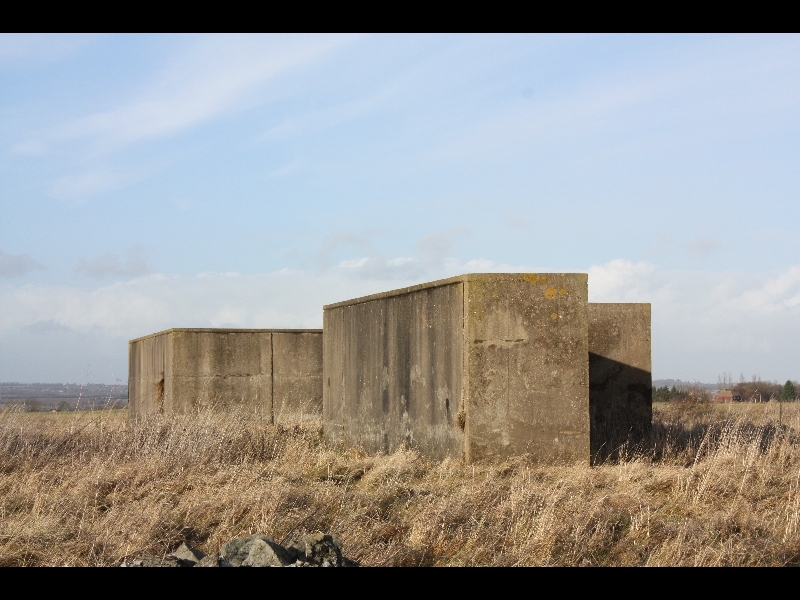 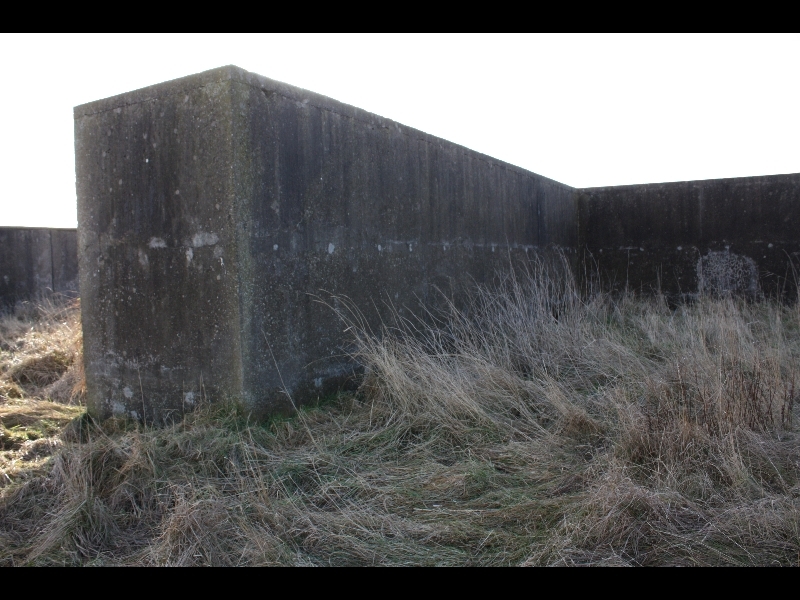 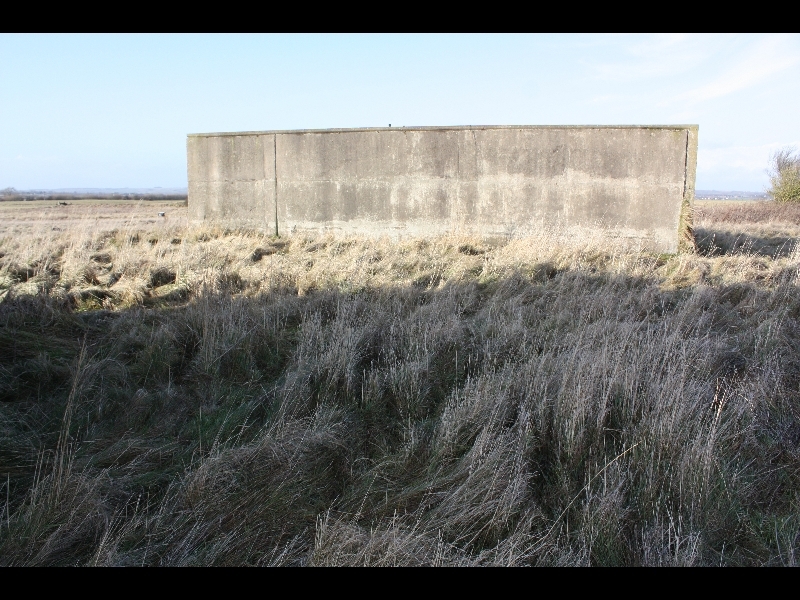 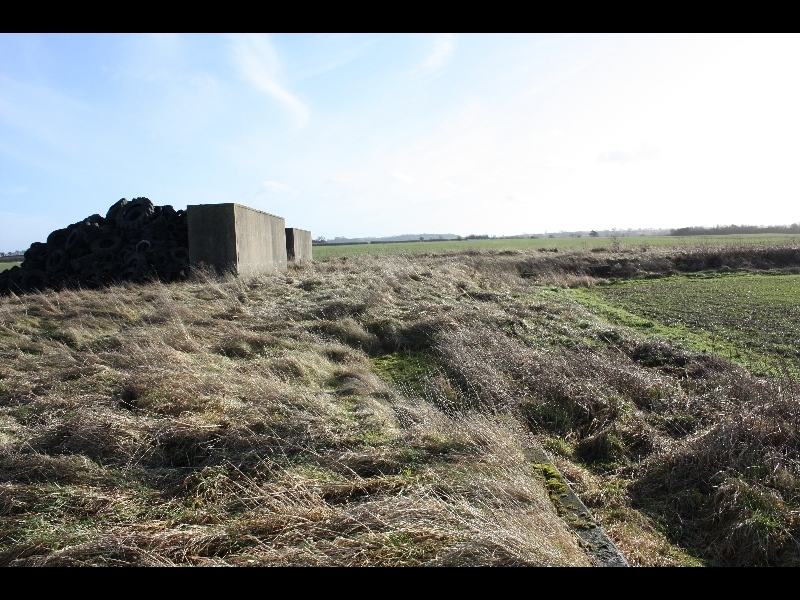 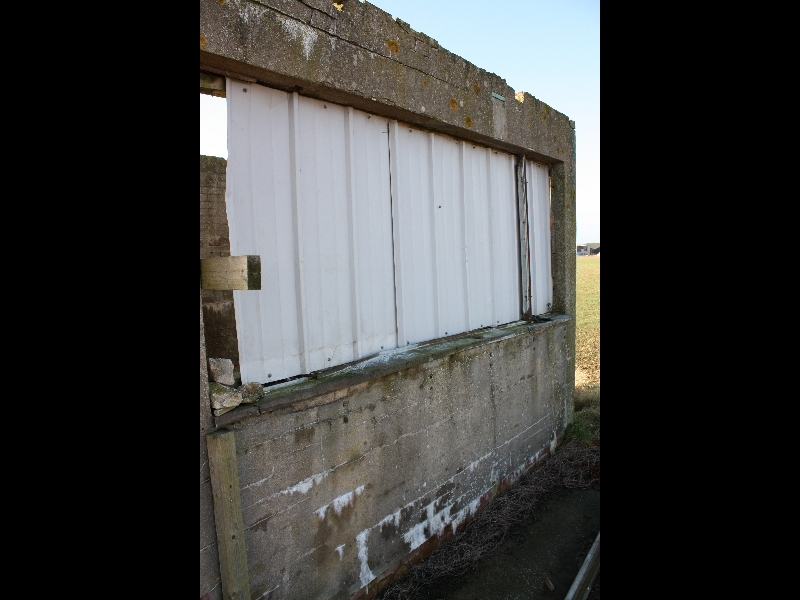 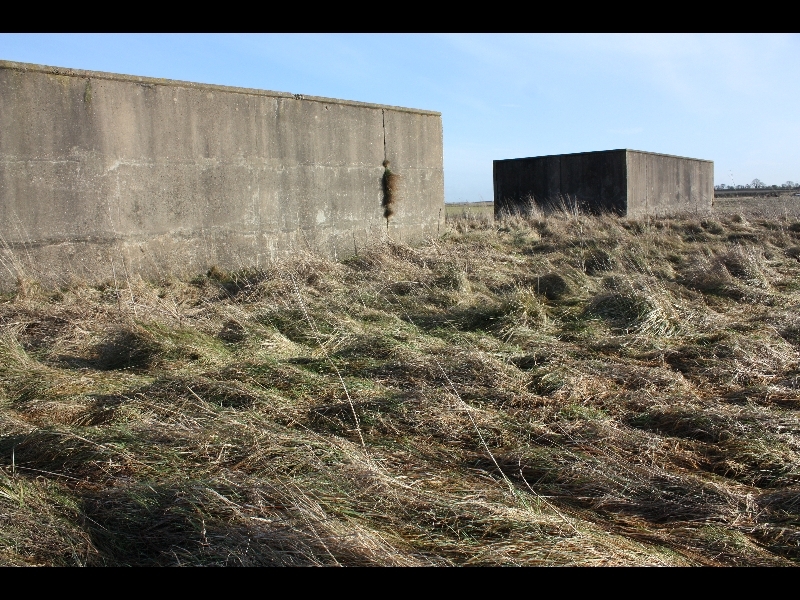 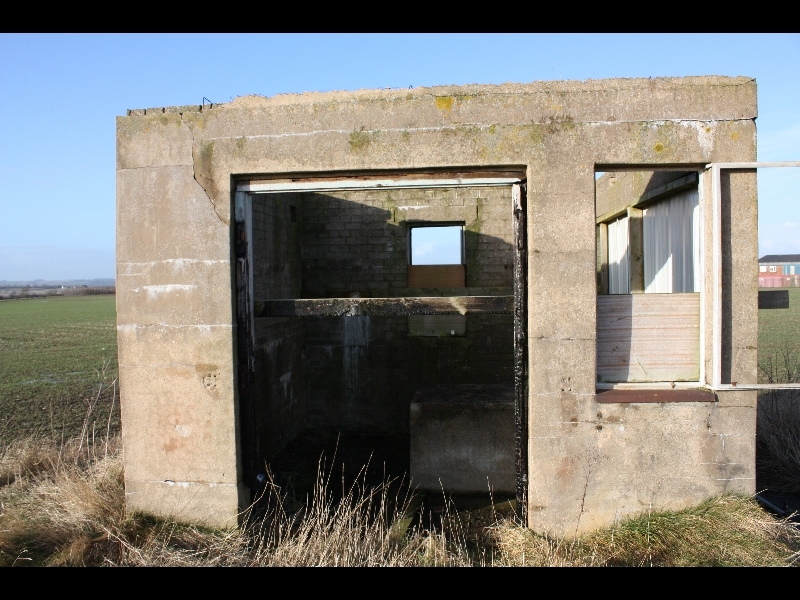 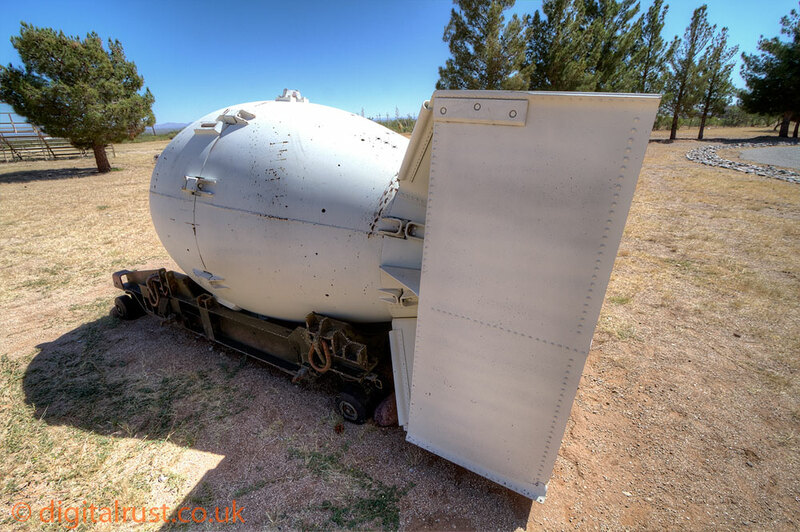 Access to the control room is through a set of 3 ton blast doors with a tunnel through to the 8 level missile silo, the building is constructed from steel reinforced concrete up to 8 feet thick. 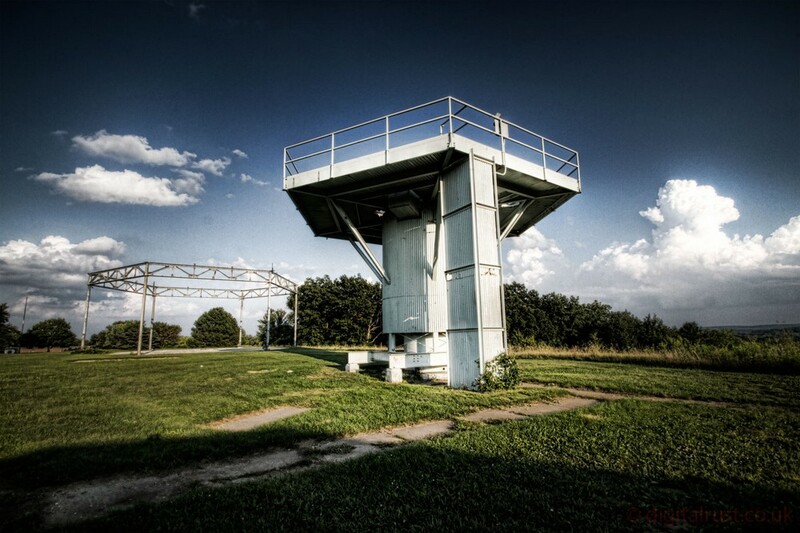 The silo became operational in 1963 and was deactivated in 1982 due to a weapons modernization program NOT an arms reduction treaty. 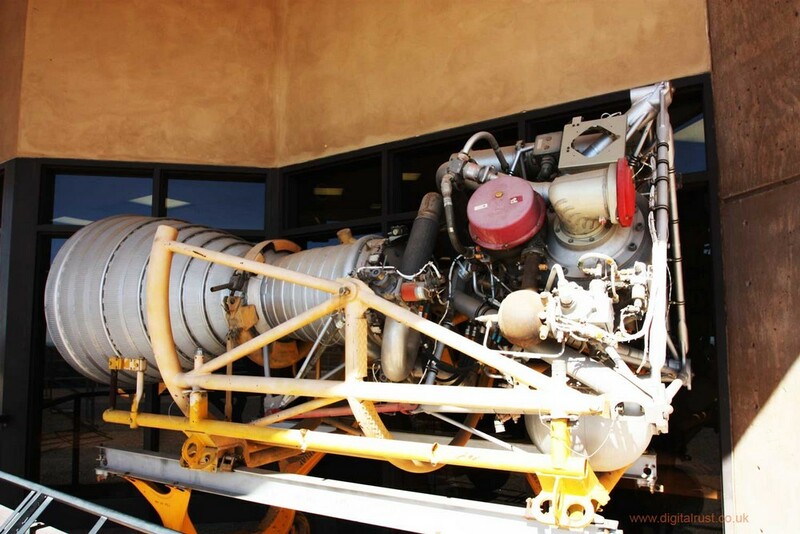 I visited here during September 2009 and found an astonishing collection of hardware. 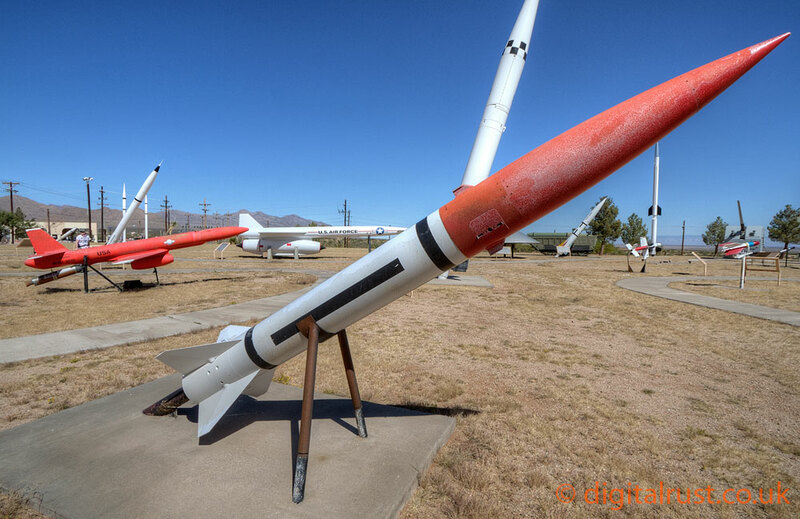 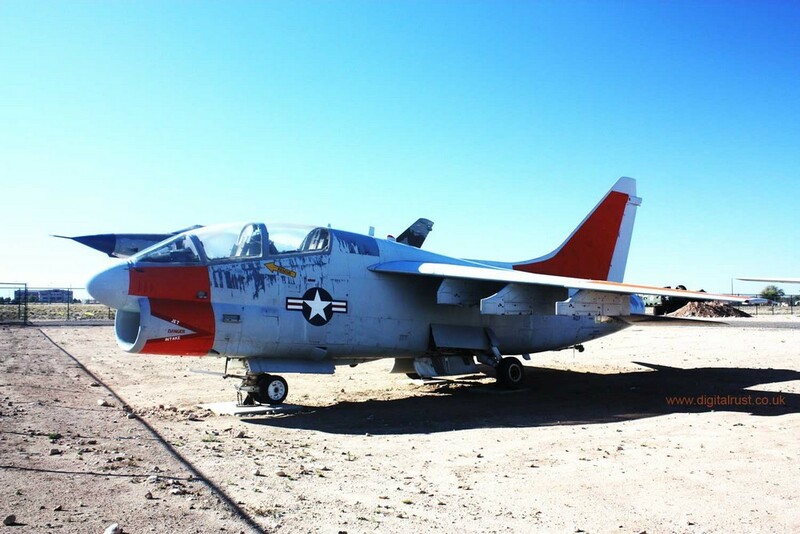 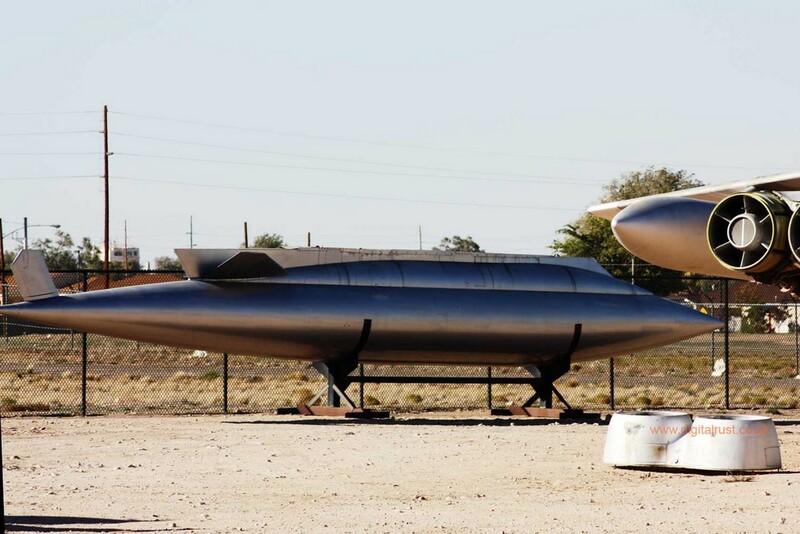 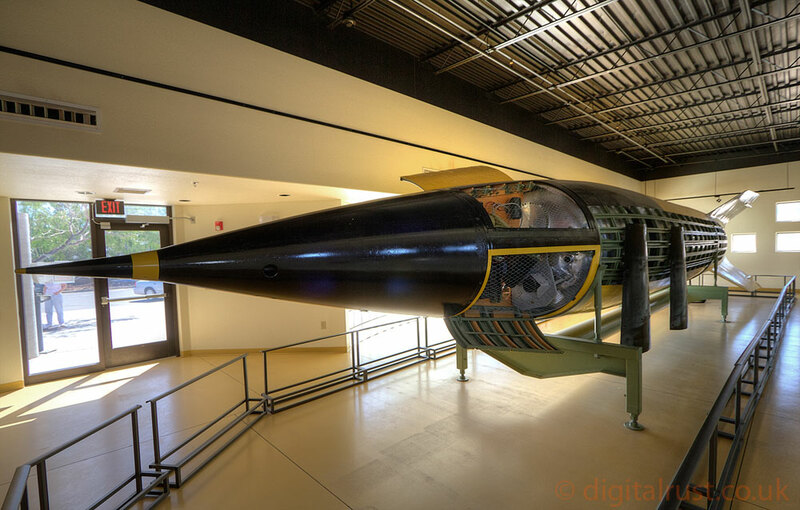 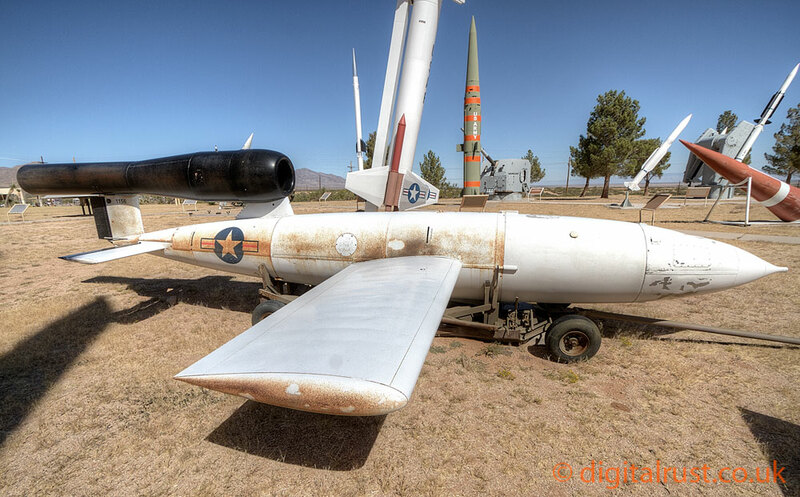 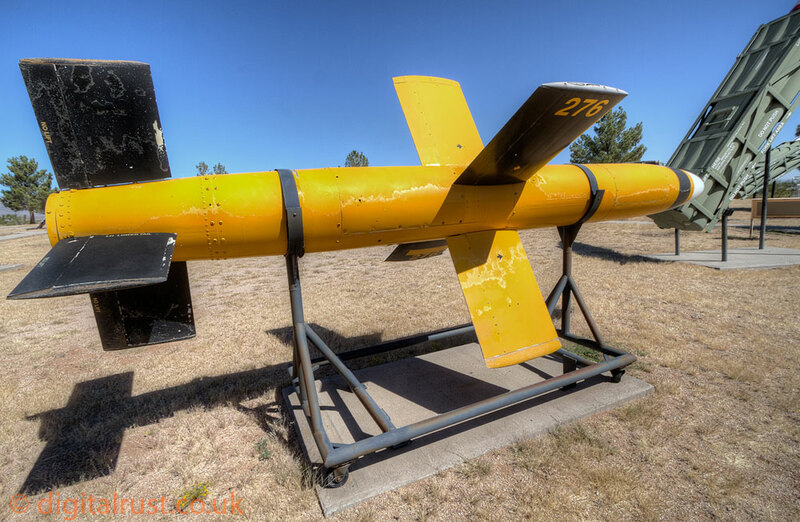 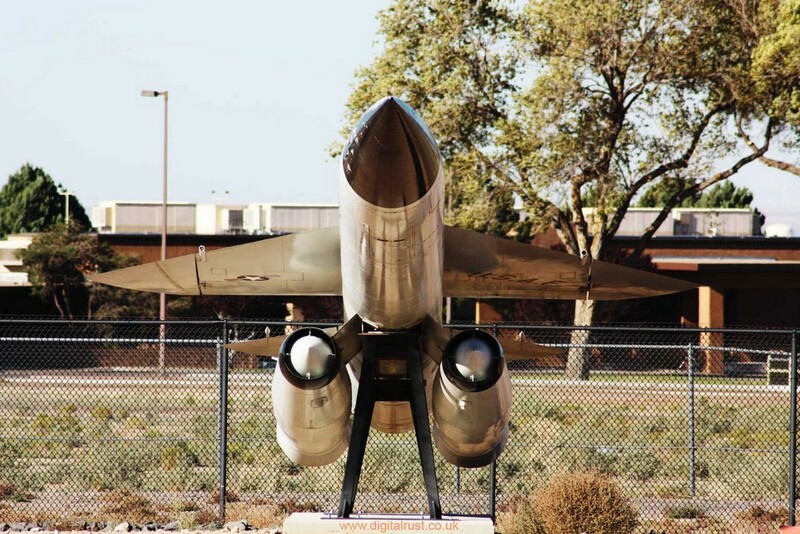 As the museum is so close to Kirtland Air force base (home to the air force Nuclear Weapons centre), they have access to some remarkable hardware from this period. 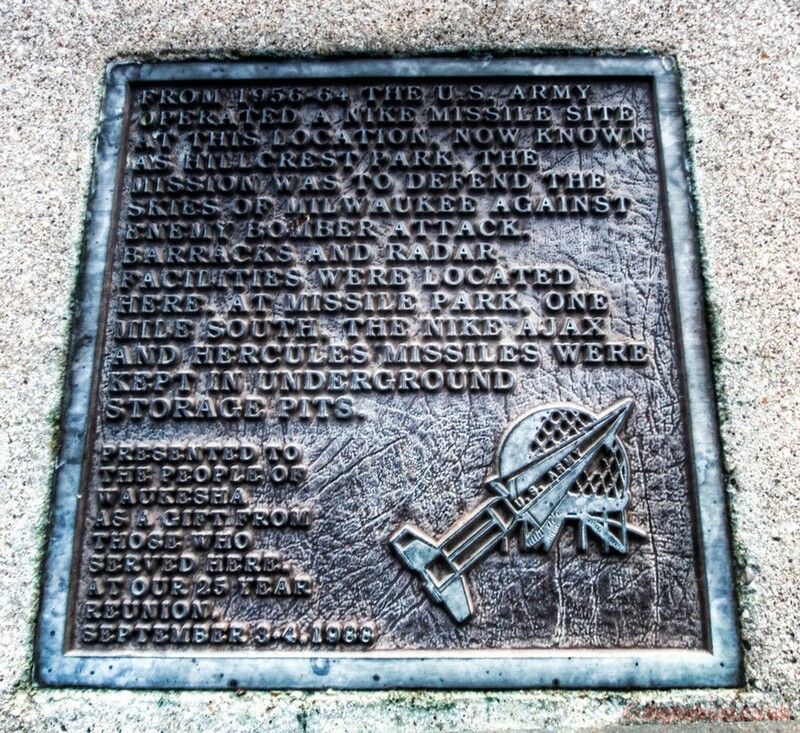 Perhaps my favourite part is "Heritage Park", a 5 acre park containing planes, rockets, cannons and missiles. 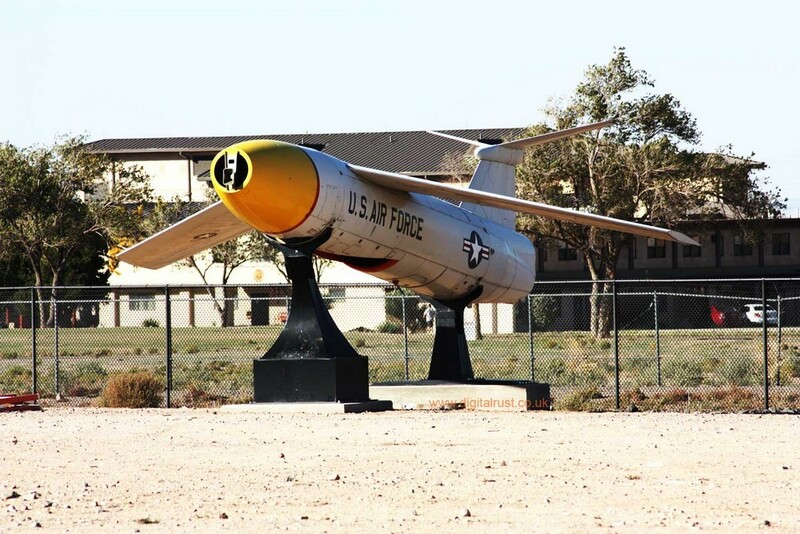 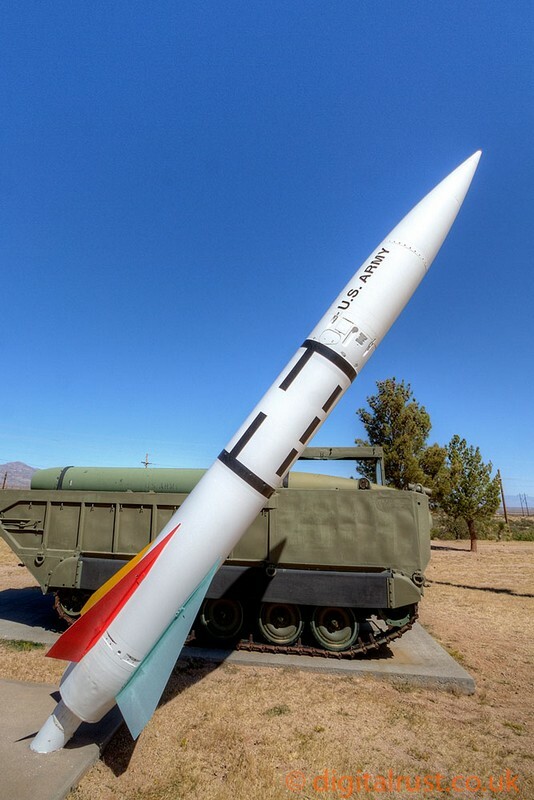 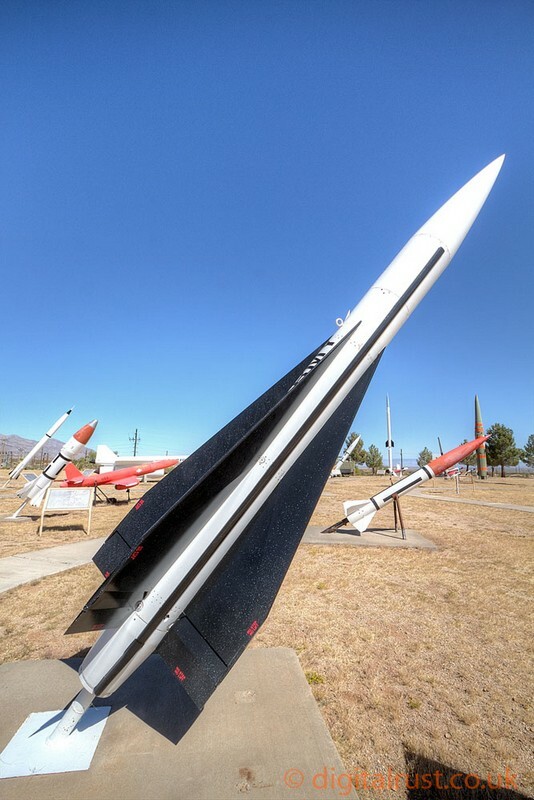 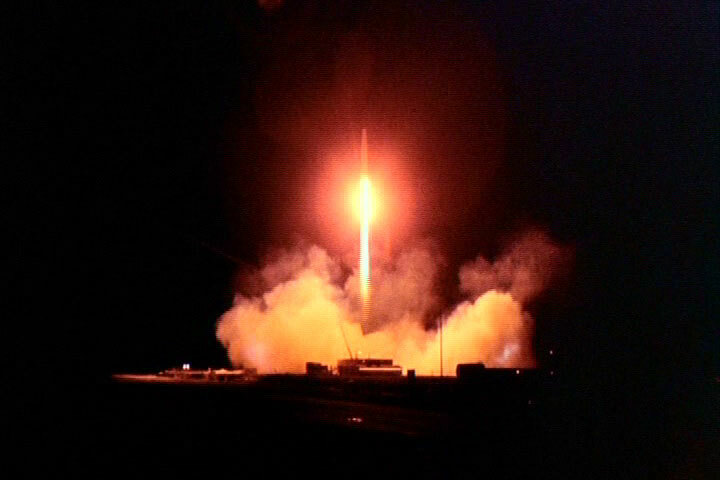 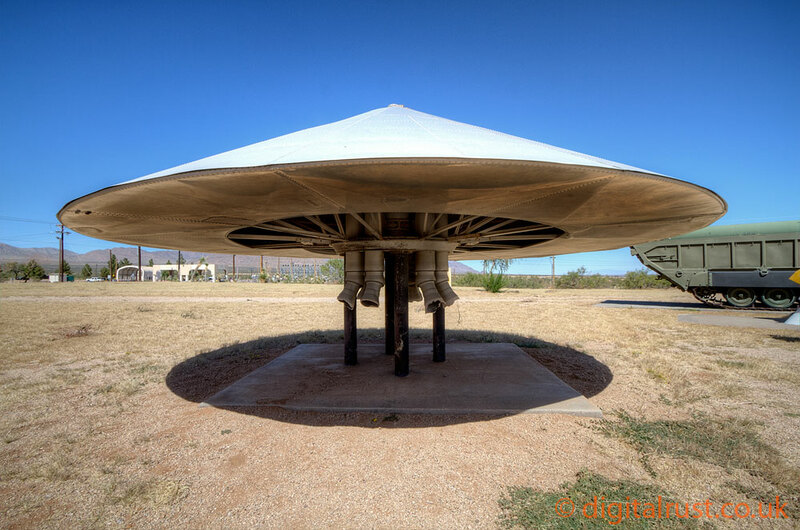 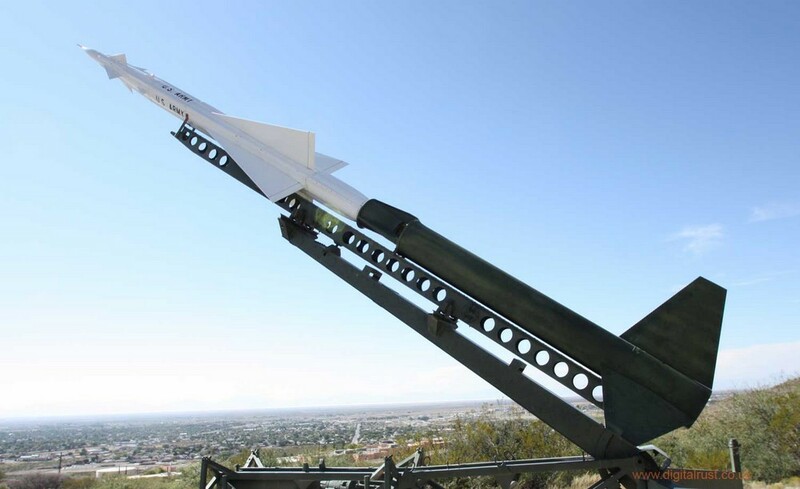 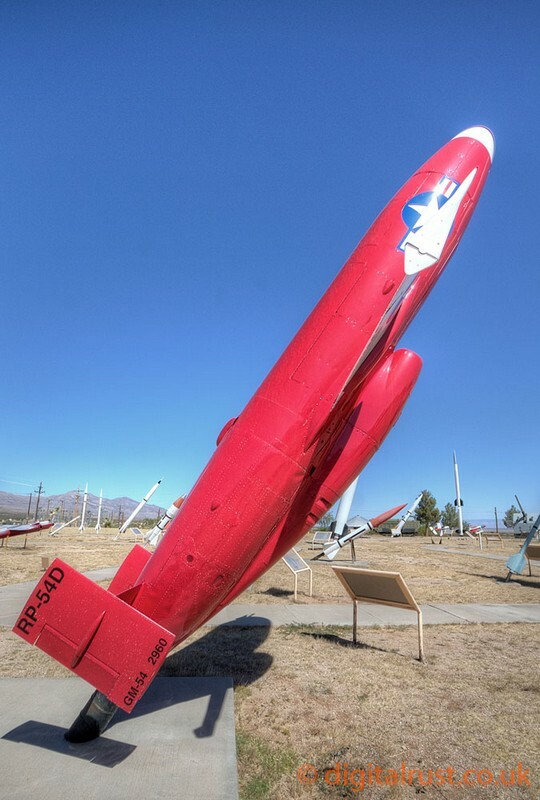 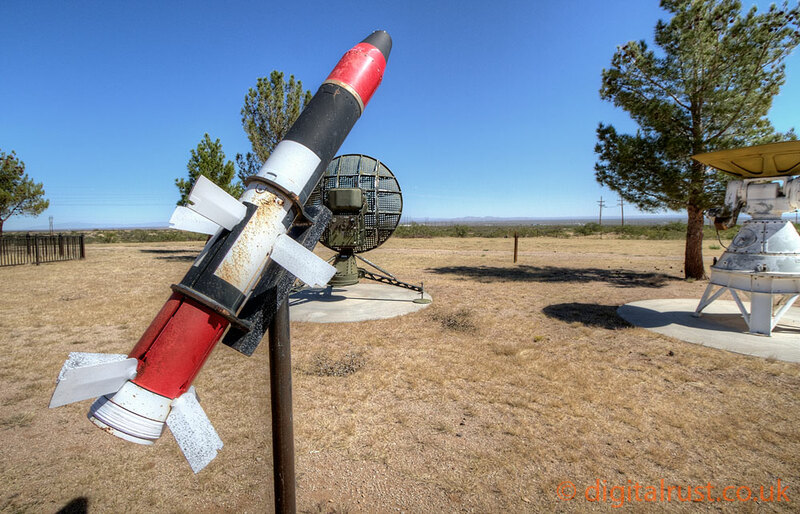 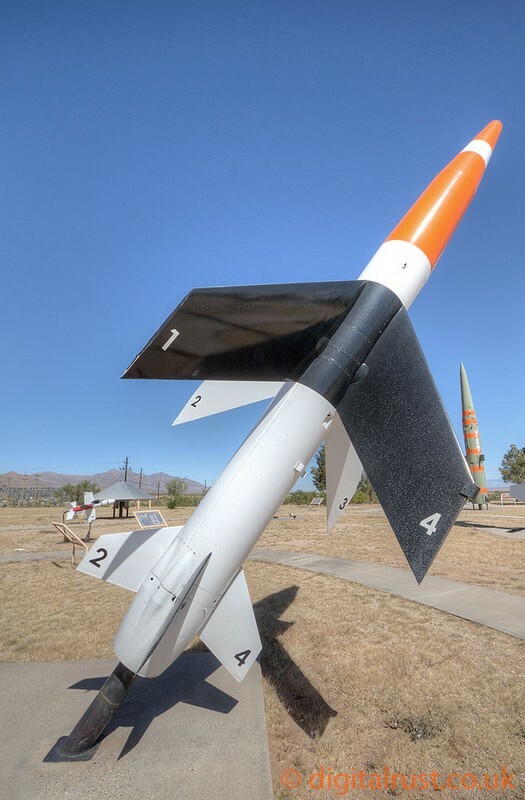 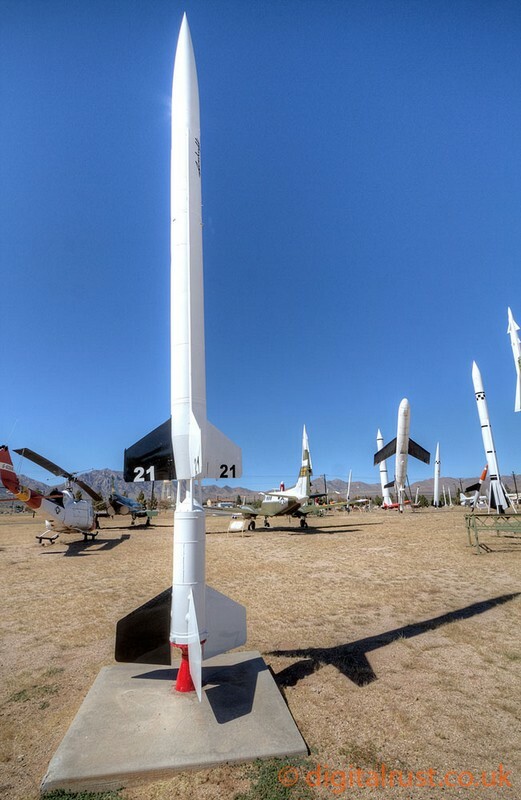 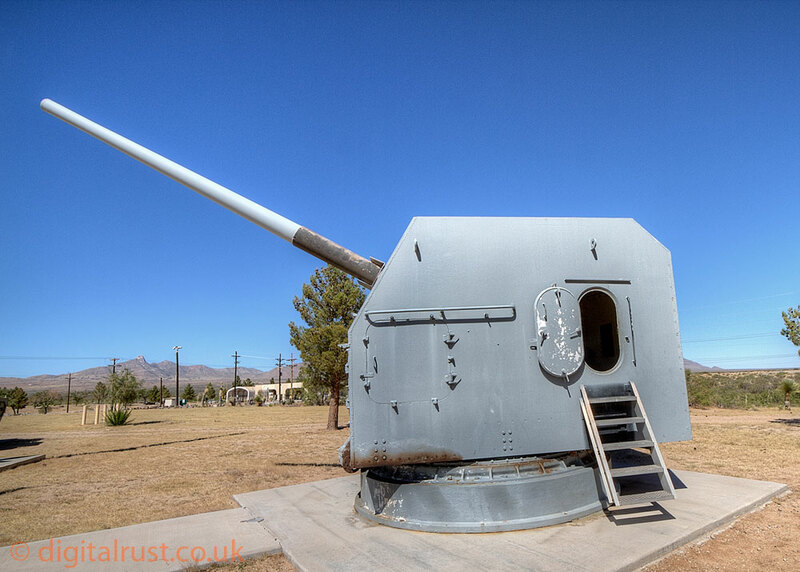 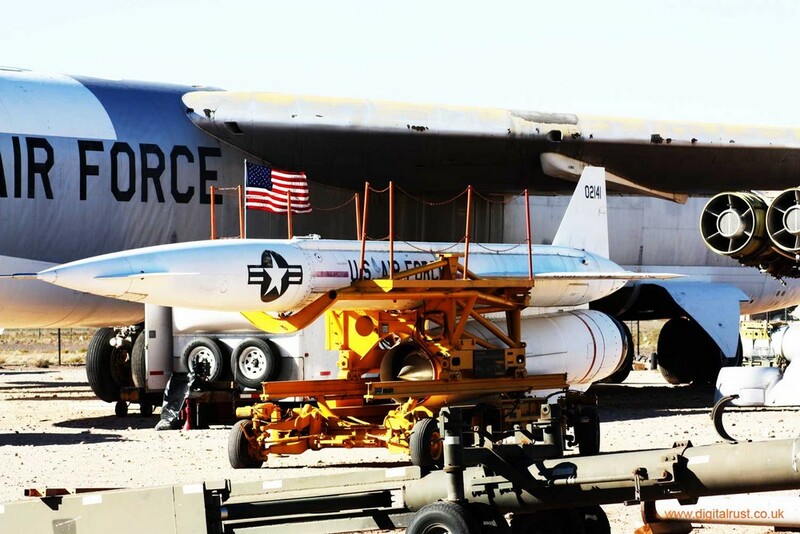 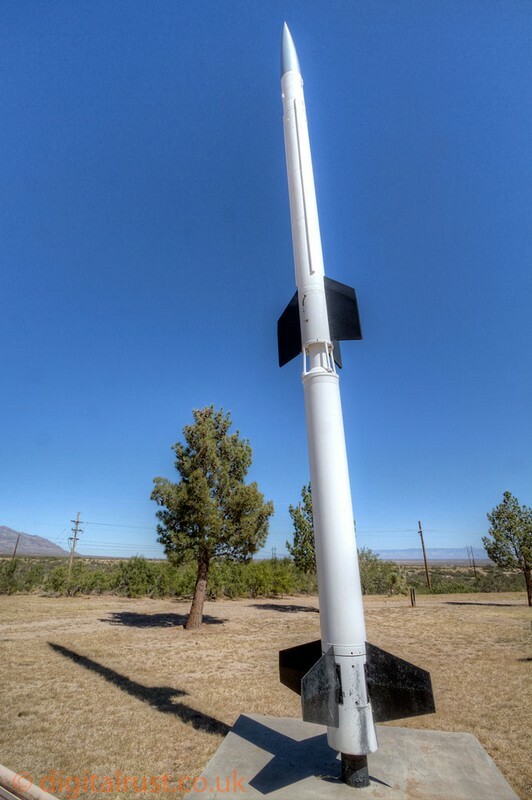 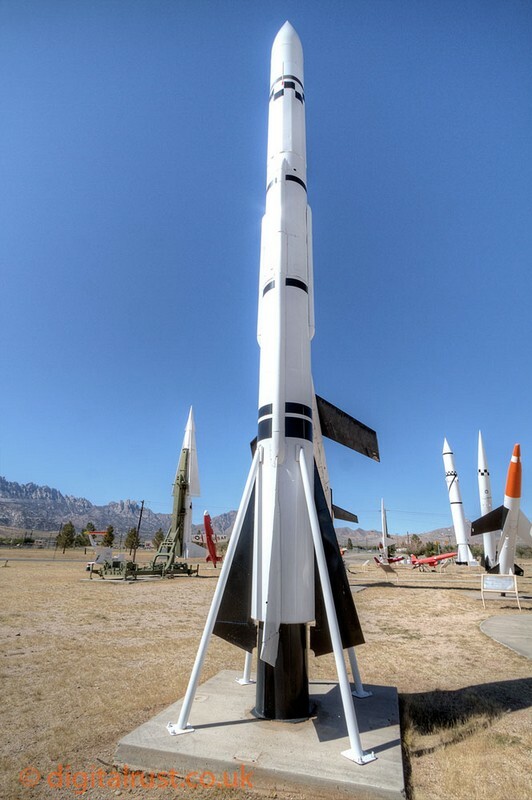 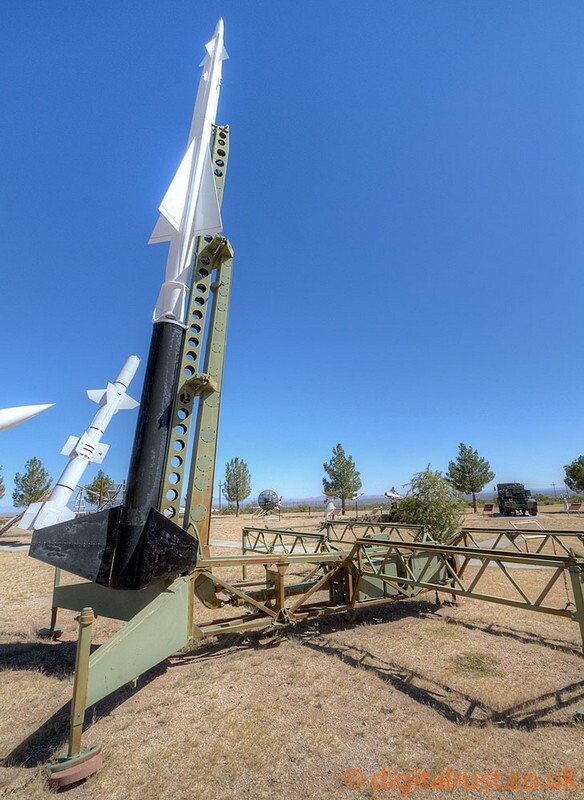 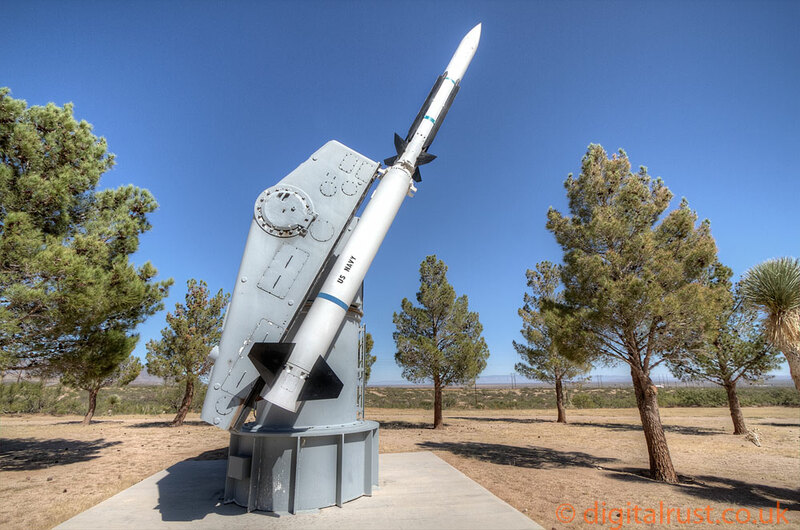 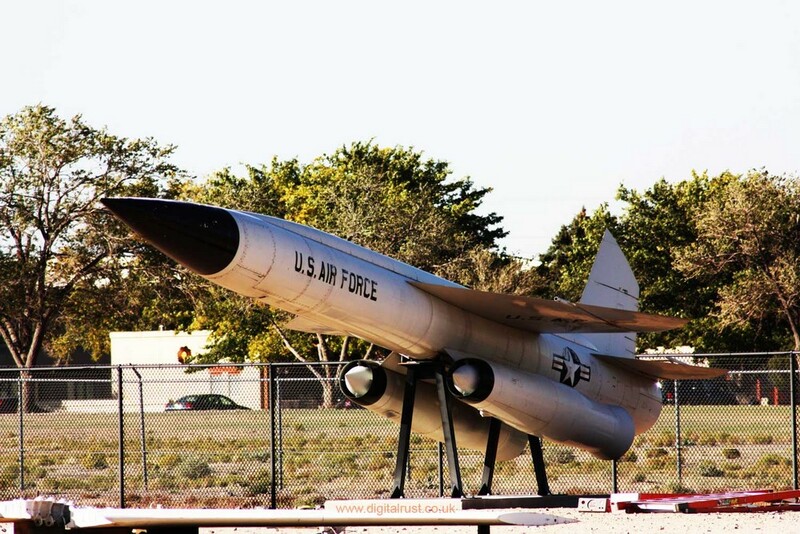 White Sands missile range covers almost 3,200 miles of Southern New Mexico and has hosted such landmark events as the Trinity atomic bomb explosion in 1945 and the landing of the Space Shuttle "Columbia" in 1982. 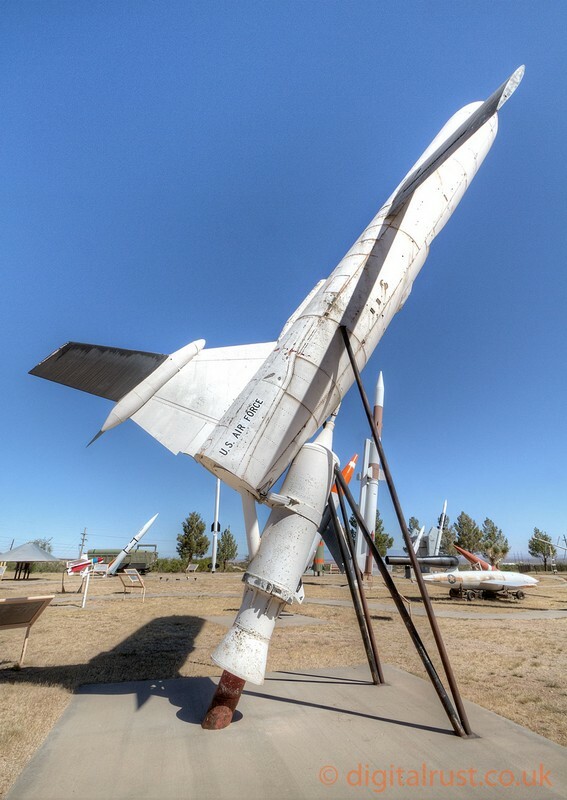 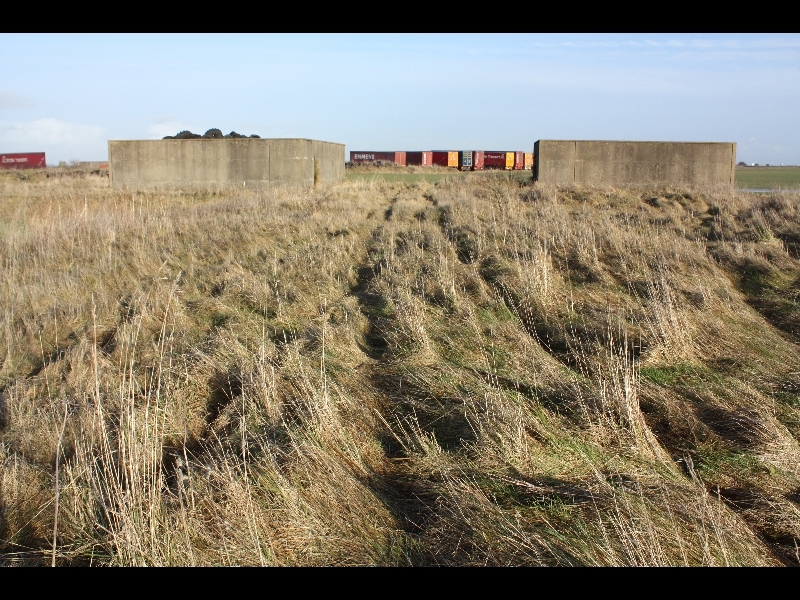 I visited the site during October 2011 and found the contents of the missile park completely fascinating. 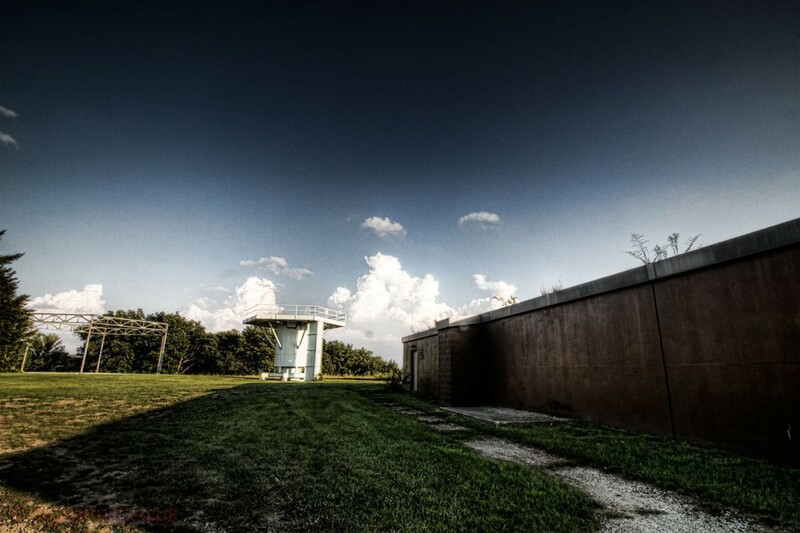 Below are some of the photos I took during several hours spent at the base. 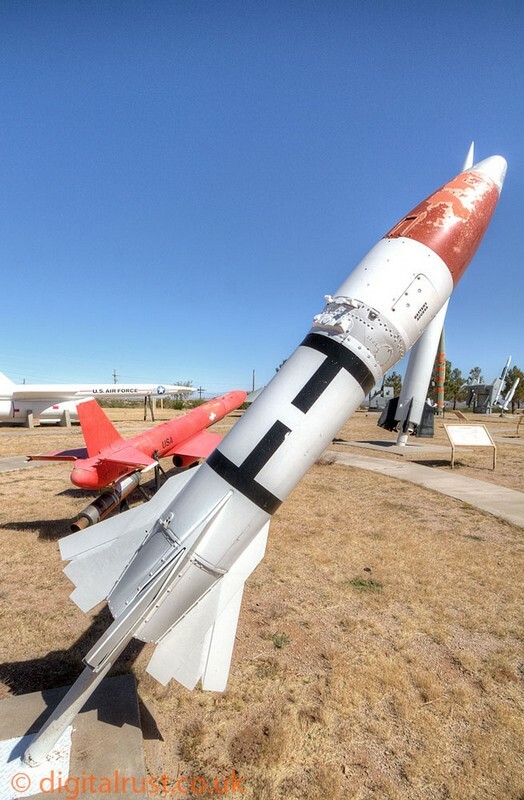 This place has a superb collection of items related to space flight and contains various rockets and missiles as well as the "daisy track". 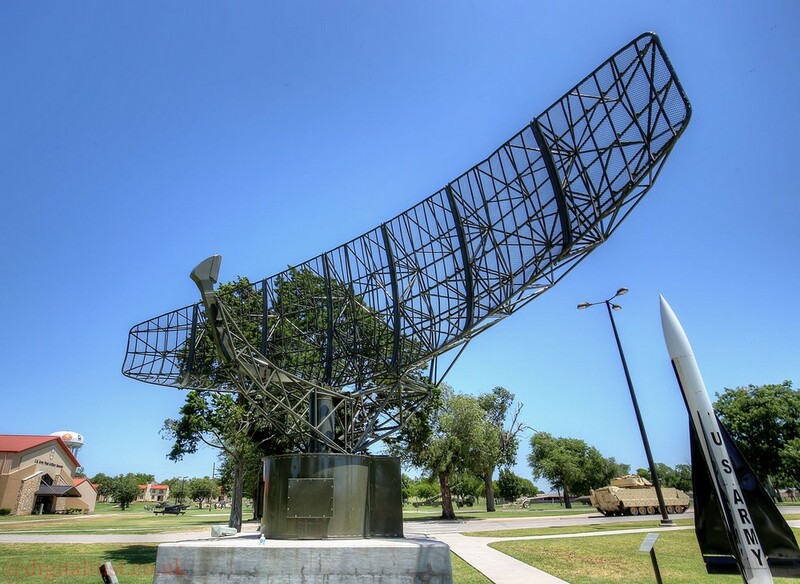 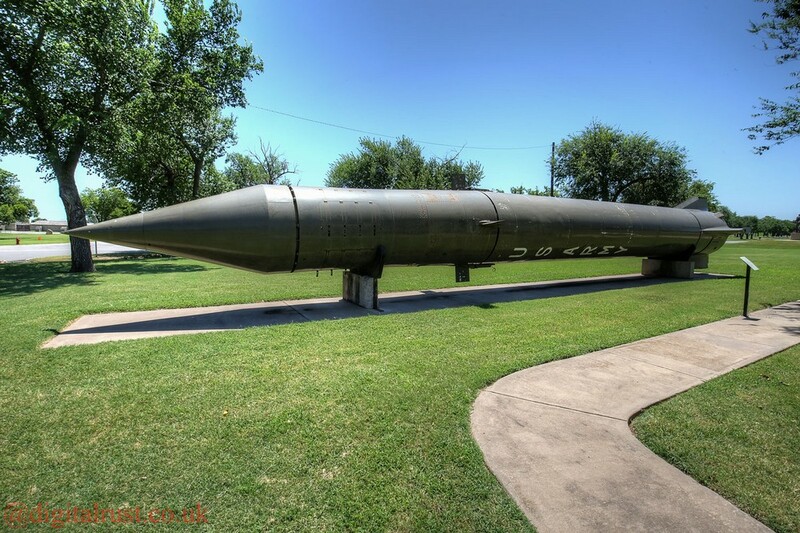 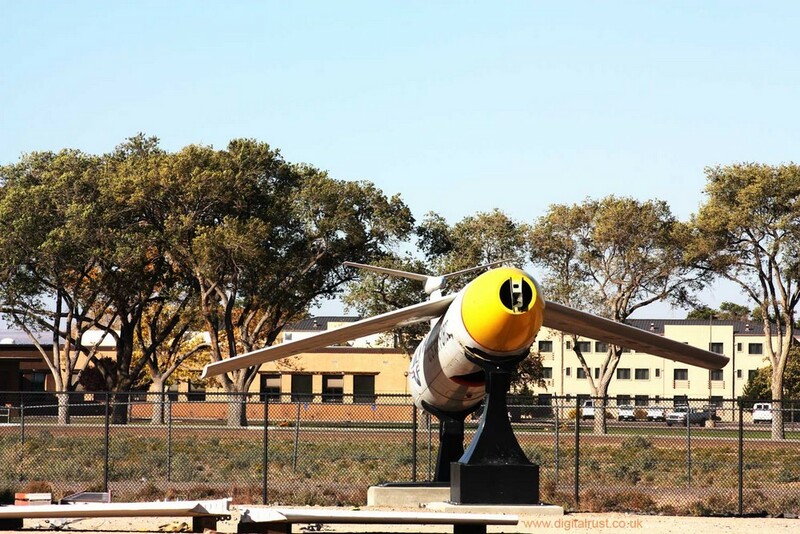 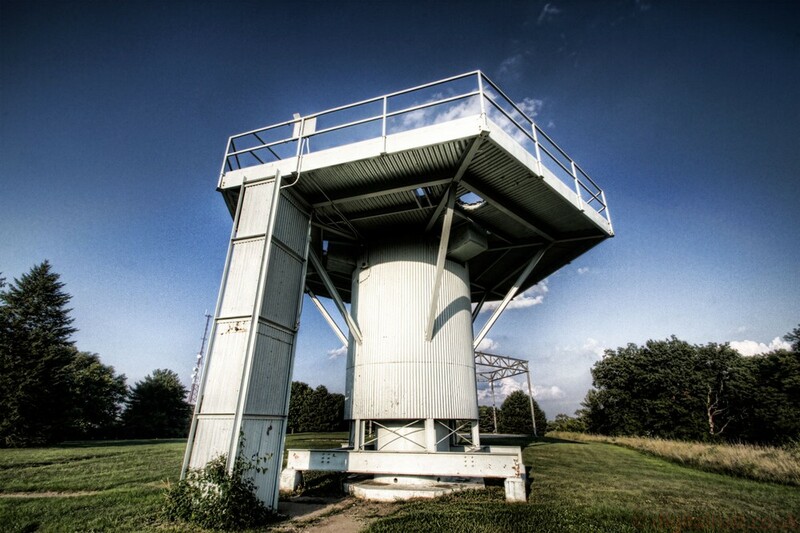 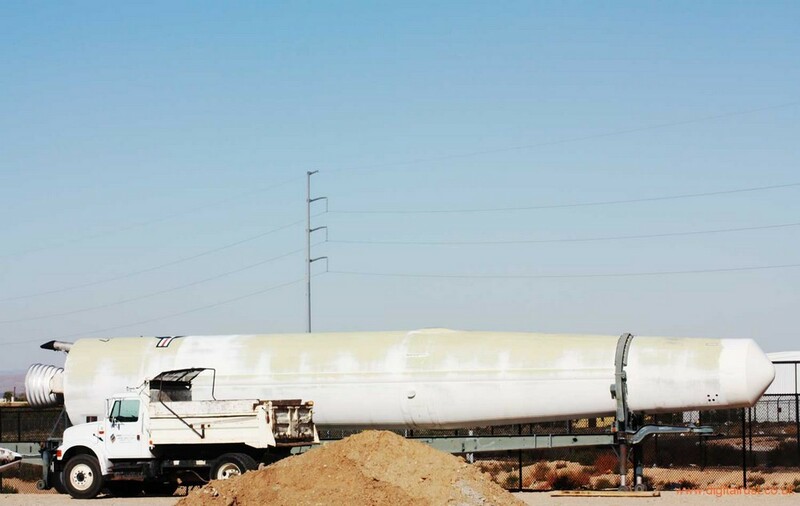 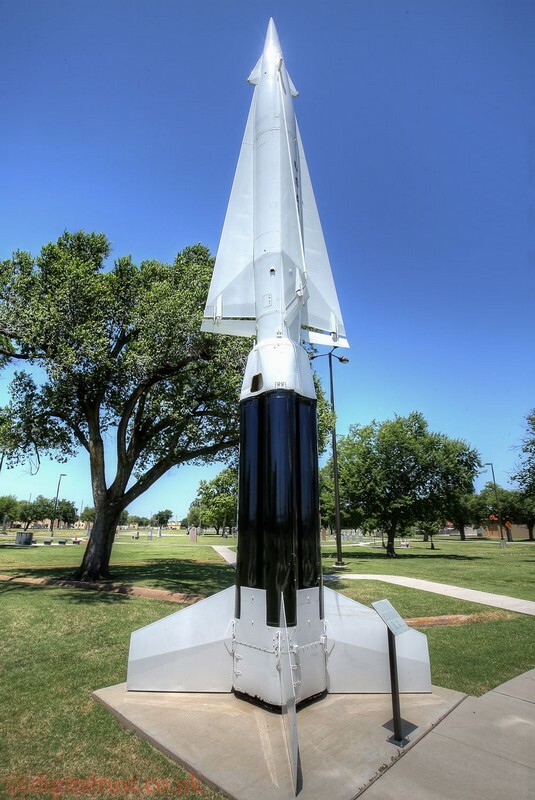 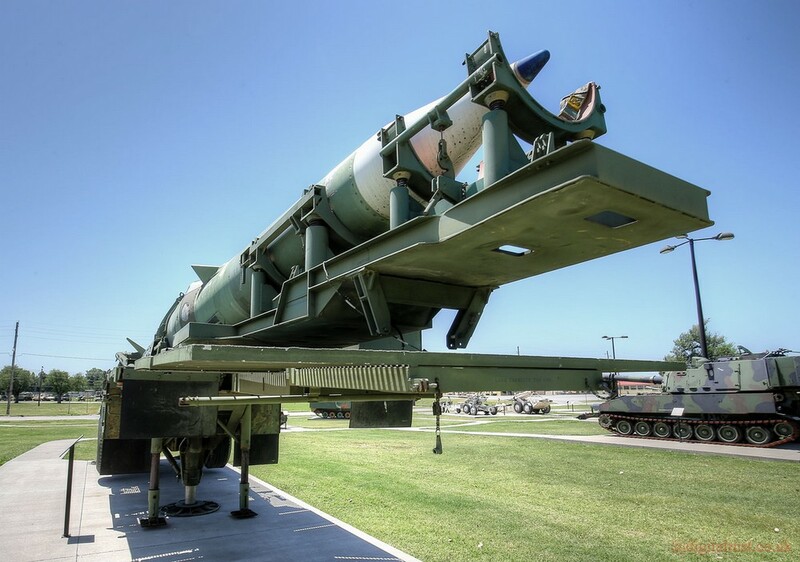 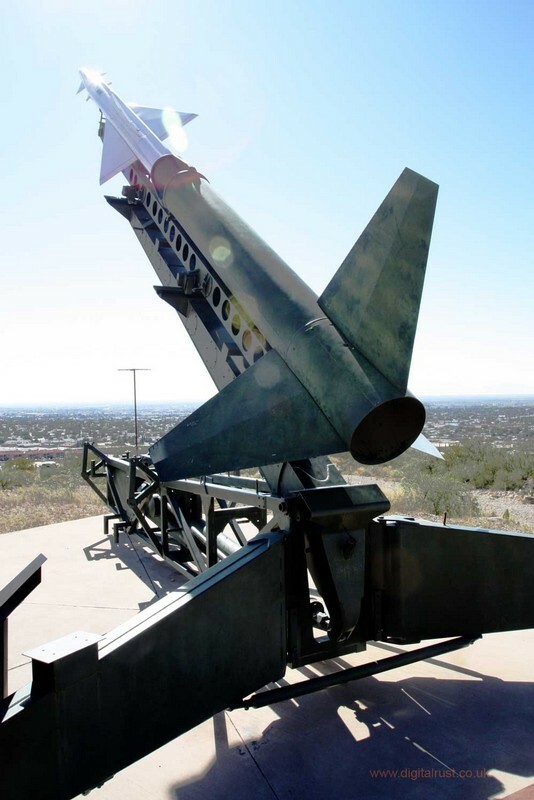 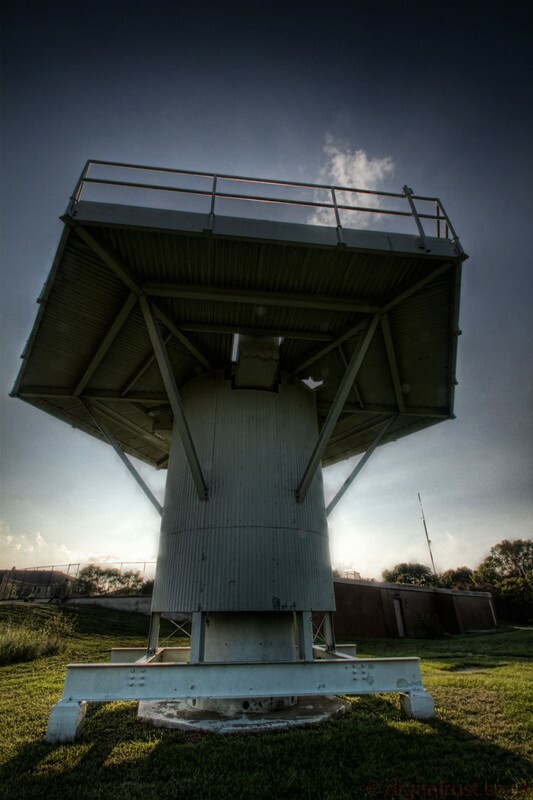 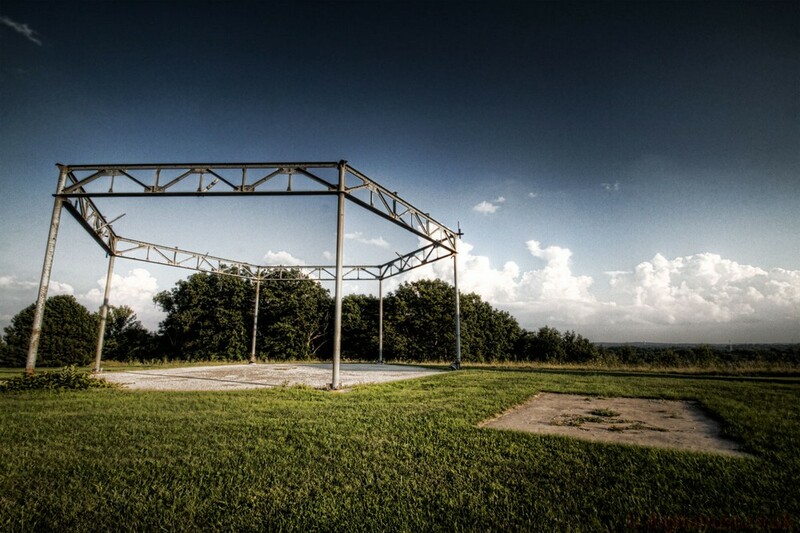 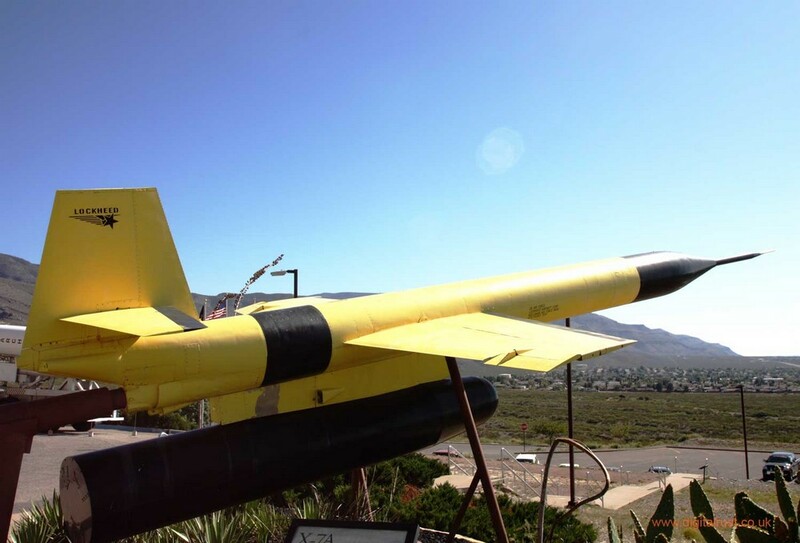 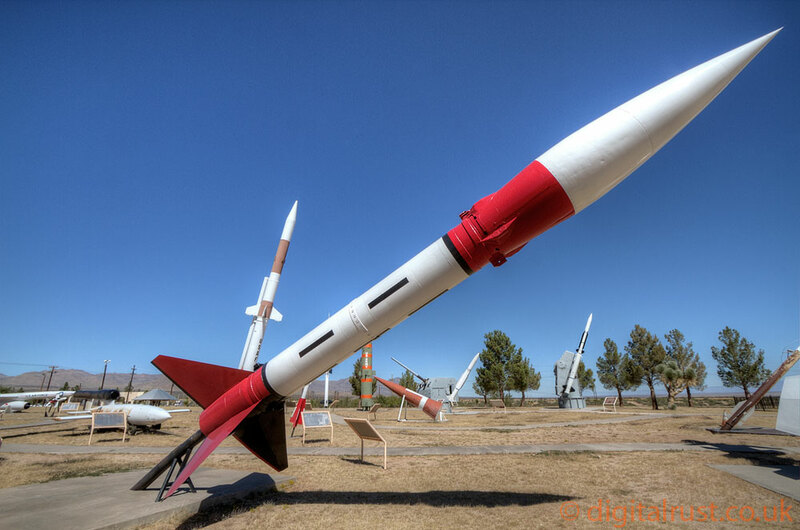 The Nike nuclear missile installations were the worlds first successful guided surface to air missile system. 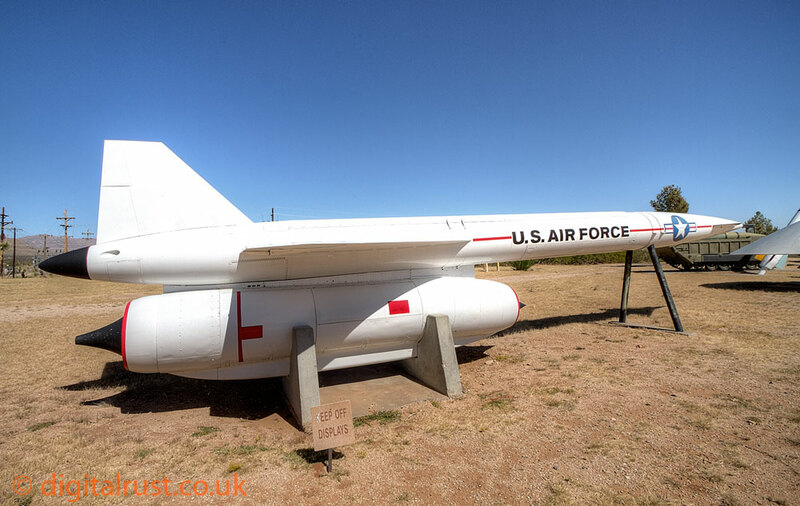 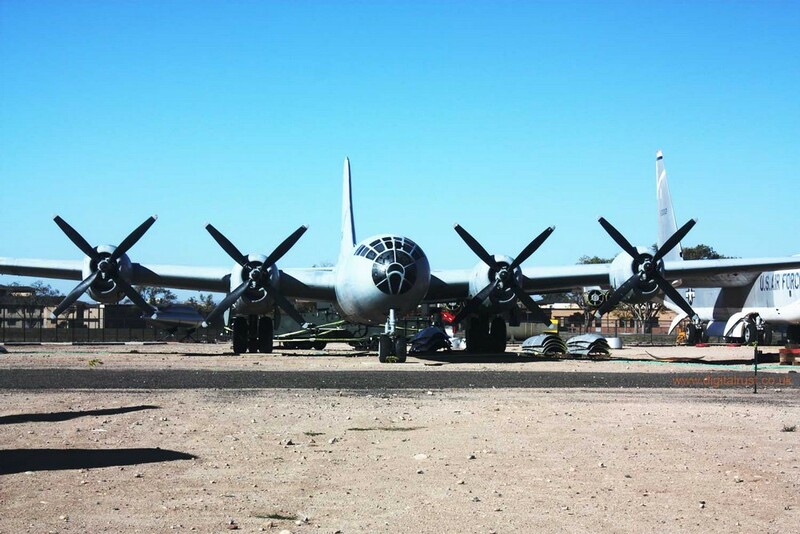 They represented a final continental U.S defence in the event long range soviet bombers made it through the air force fighter-interceptor aircraft. 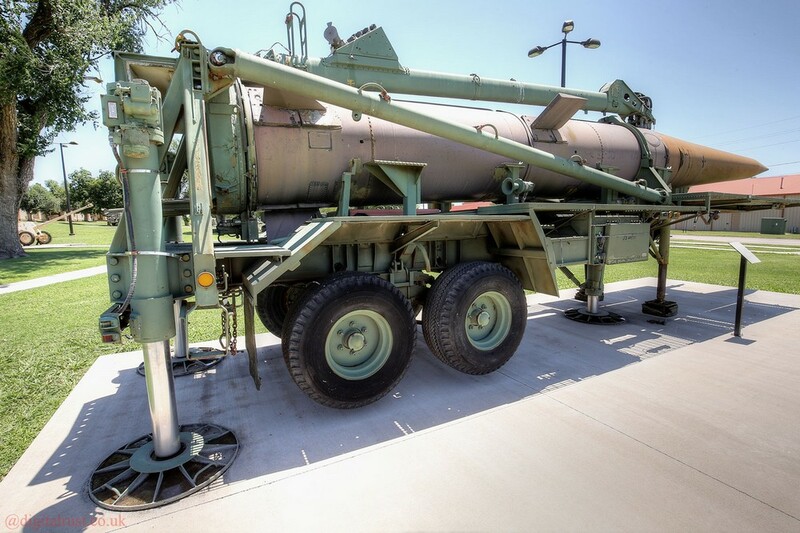 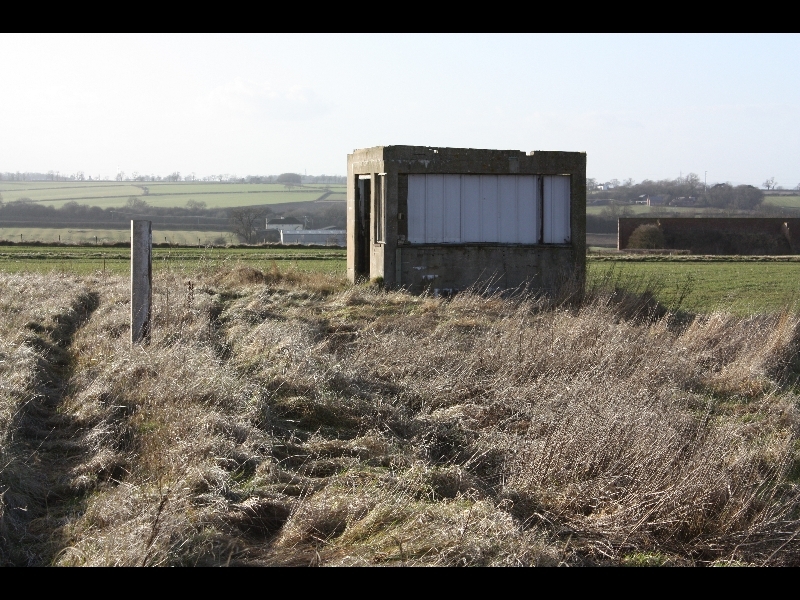 A typical installation comprised of an Integrated Fire Control area and the Launcher area where the underground missiles could be launched. 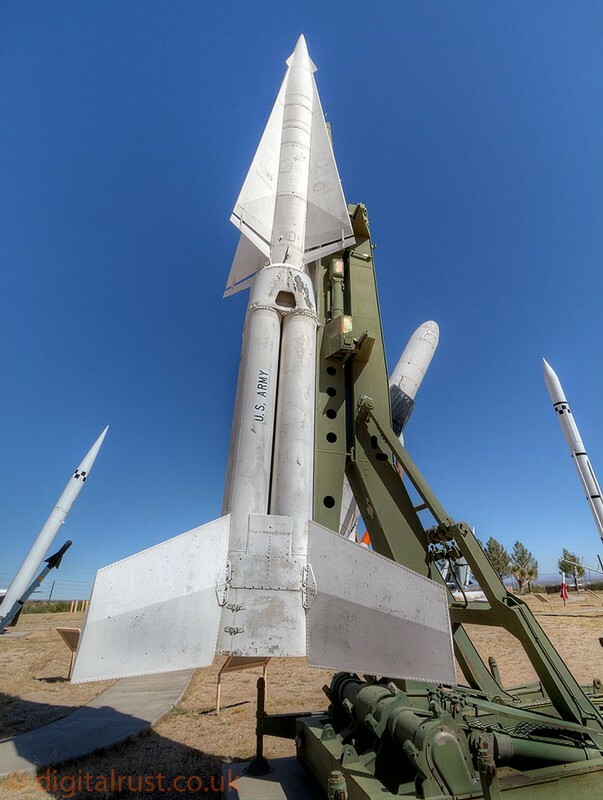 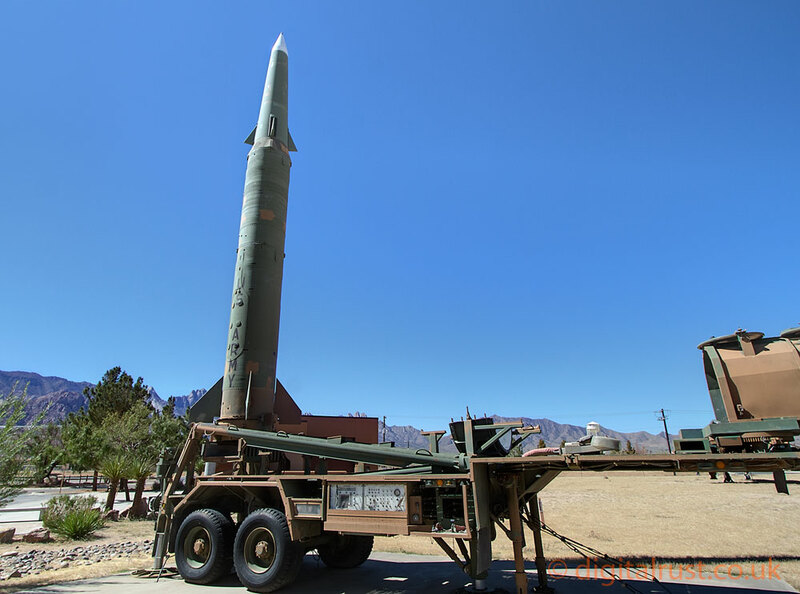 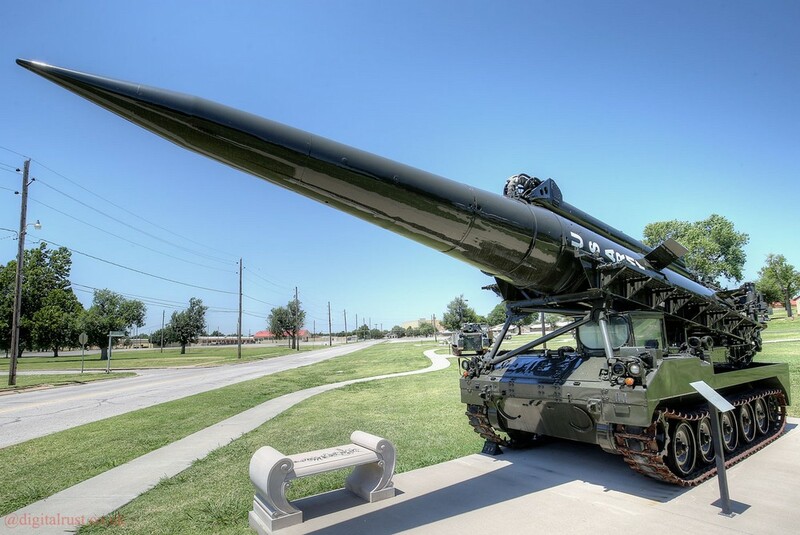 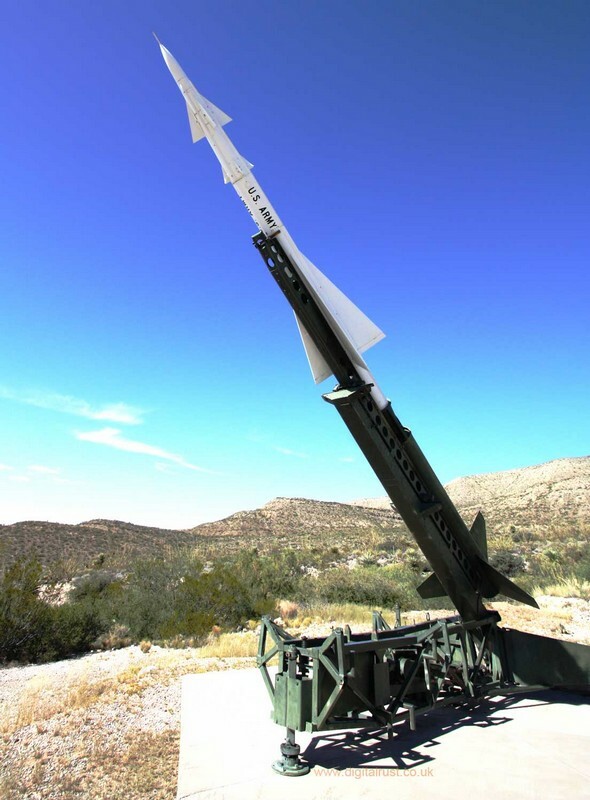 These "Ajax" missiles were rapidly upgraded to the "Hercules" series which were a far more capable missile loaded with the "W-31" thermonuclear warhead in 3, 20 and 30 kiloton varieties. 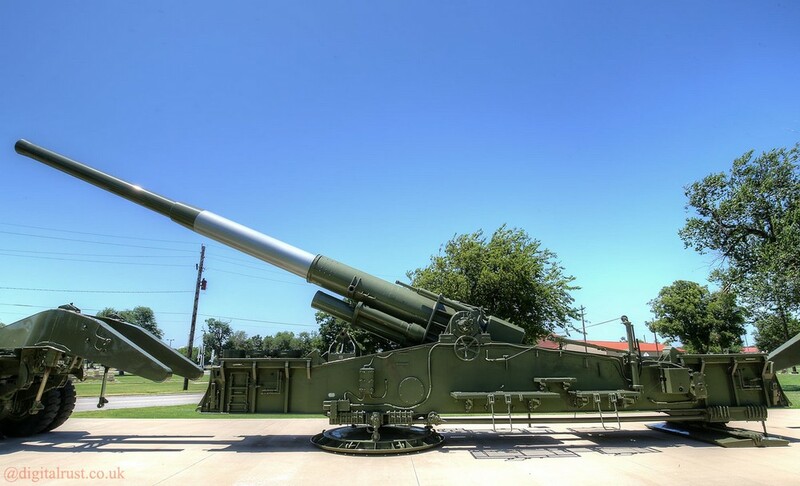 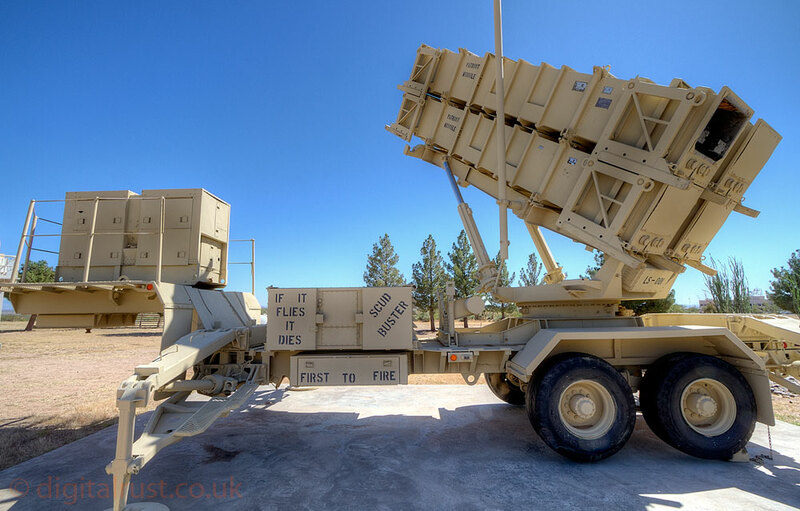 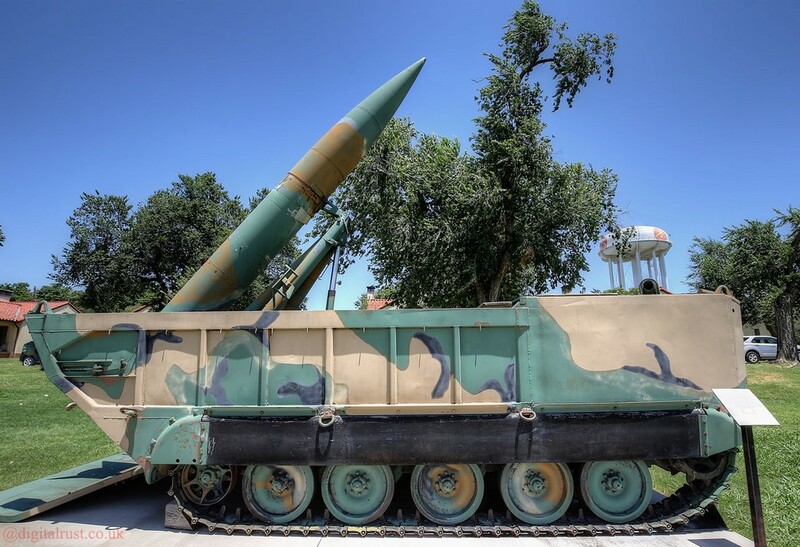 These missile systems are still in operation today used by the armed forces of Italy, Greece, Turkey and South Korea. 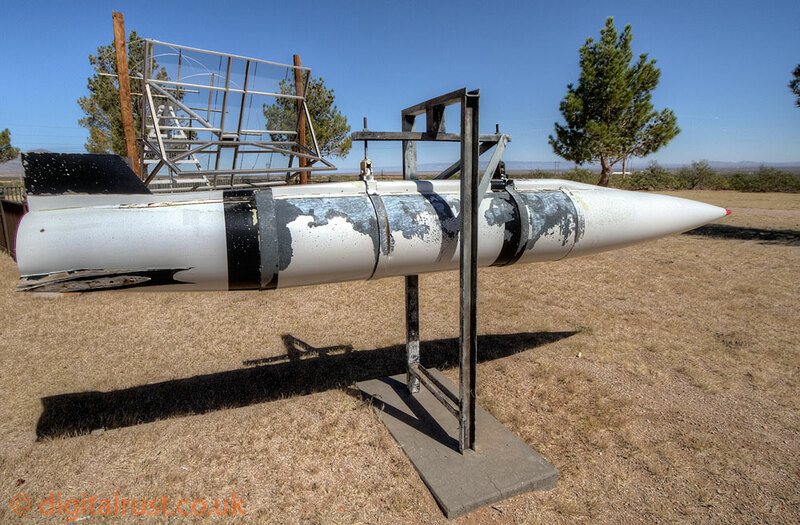 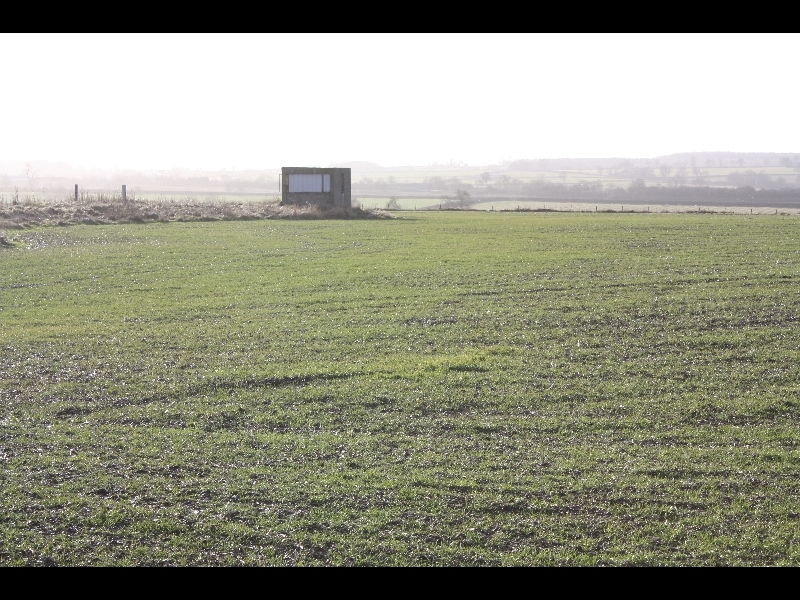 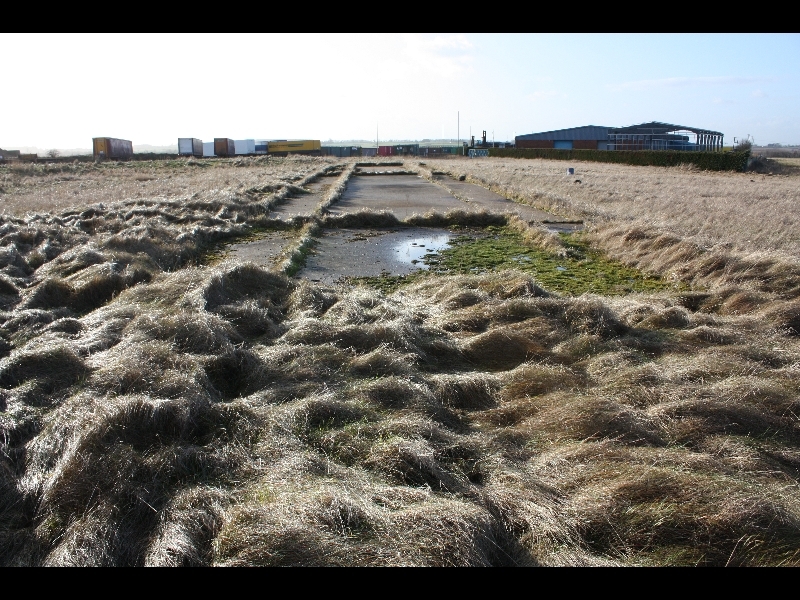 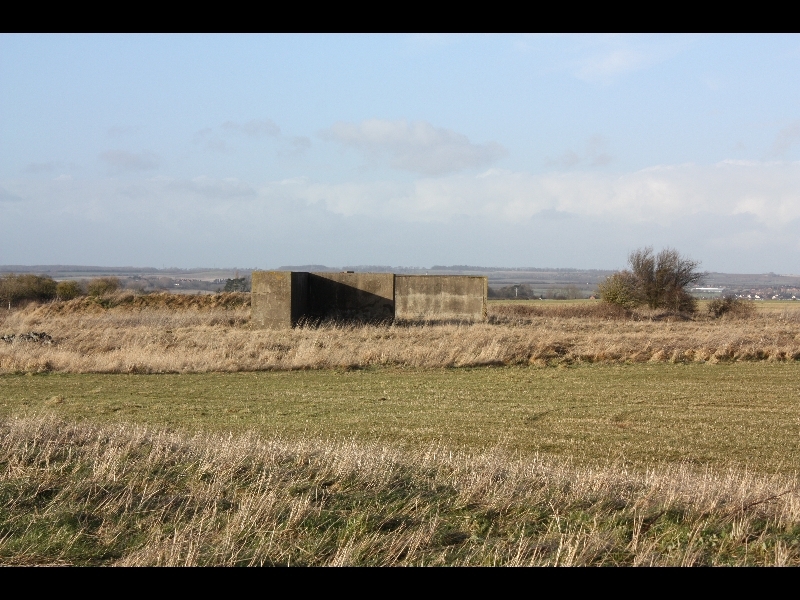 The pictures below include photos I took in Melton Mowbray this year while trying to get some info on these missiles. 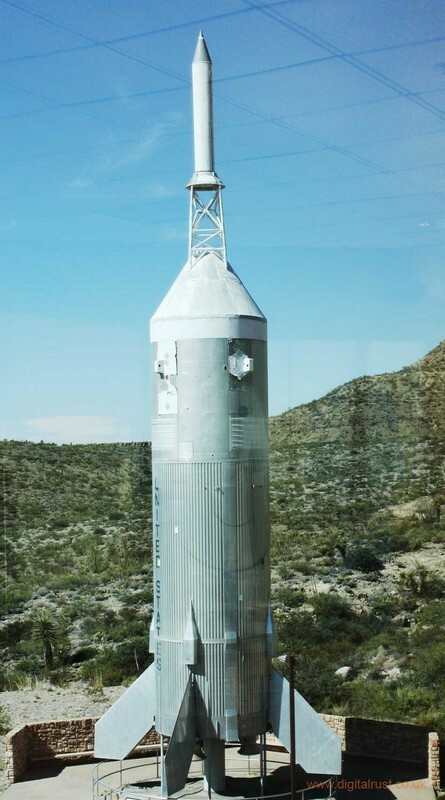 Not much remains here other than the huge blast shields serving to protect the launch crews. 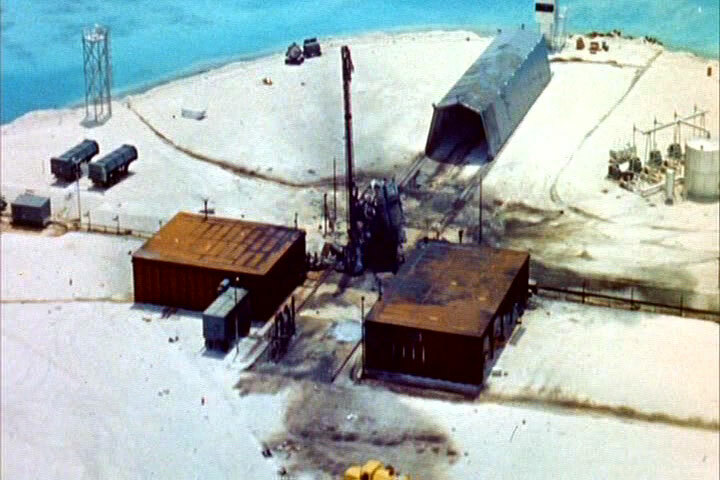 While on the ground the missile was kept in a hangar and permanantly fed power to keep the gyros in the inertial guidance system ready for firing and there were a number of umbilicals for system monitoring. 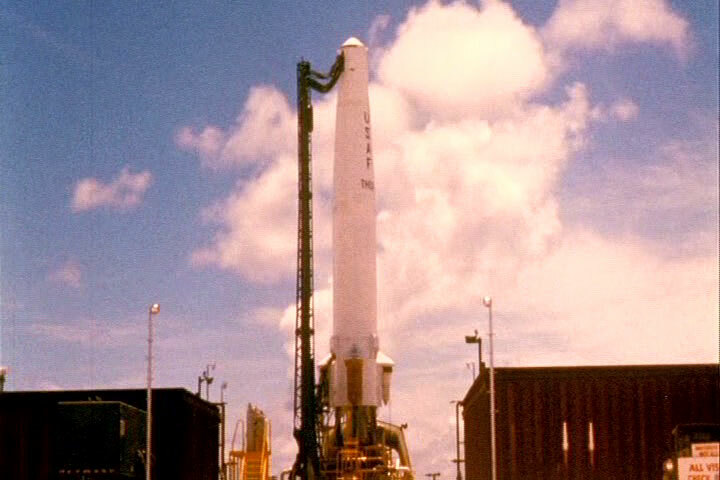 Prior to firing, the missile was filled with Lox and Kerosene and the launch could start. 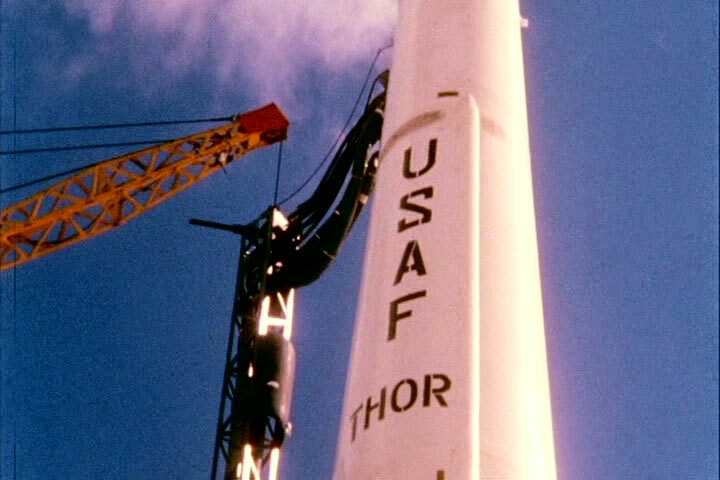 I have included some stills taken from a film called "trinity and beyond" for reference purposes only. 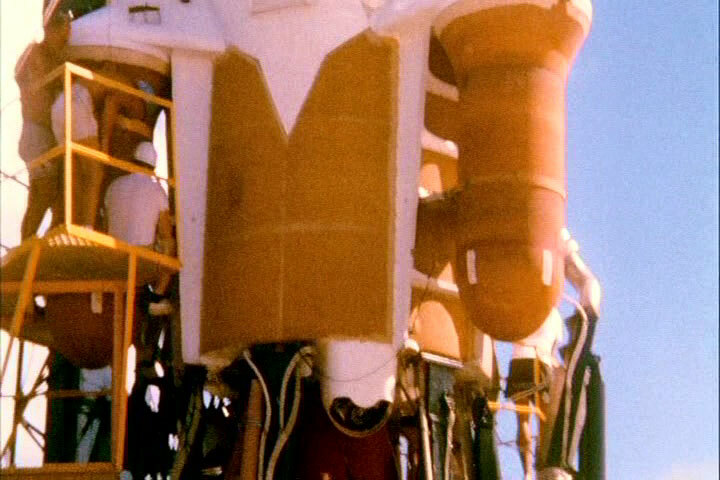 This is the only footage I have come across. 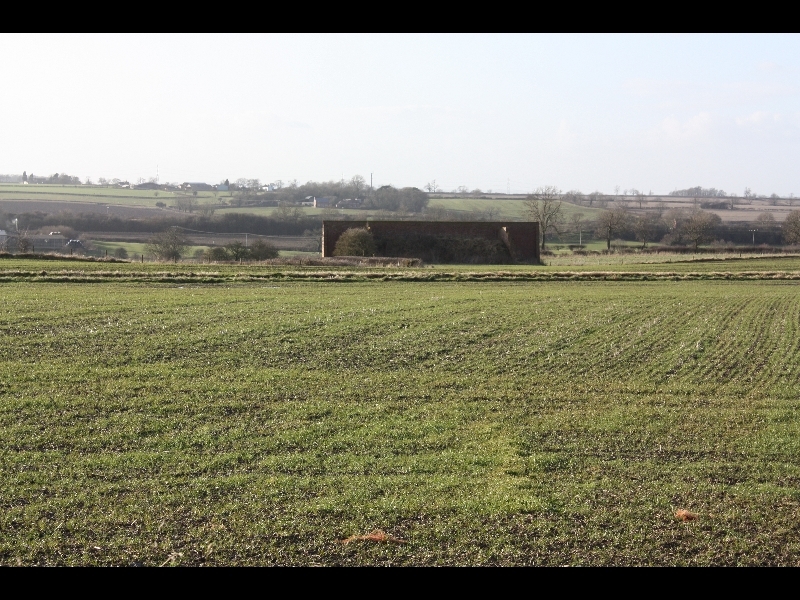 This film is available from www.vce.com and is highly recommended for further information.